You are browsing the Blog for U.S.A.R..
February 12, 2019 in U.S.A.R. 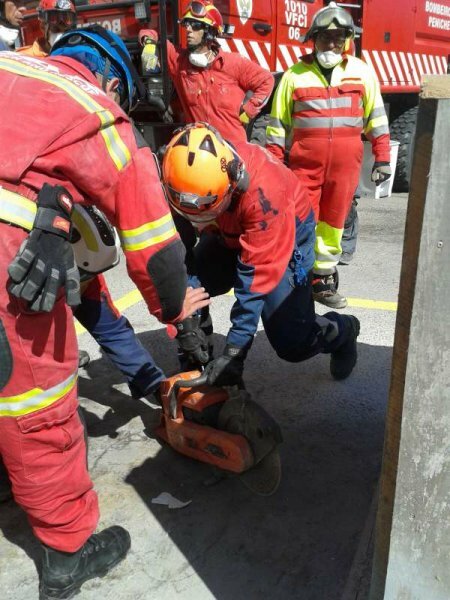 SIMULEX19 – a 24-hour rescue simulation organized by the Emergency Fire and Rescue Unit (EFRU) was concluded successfully today, 10th February at 10:00. 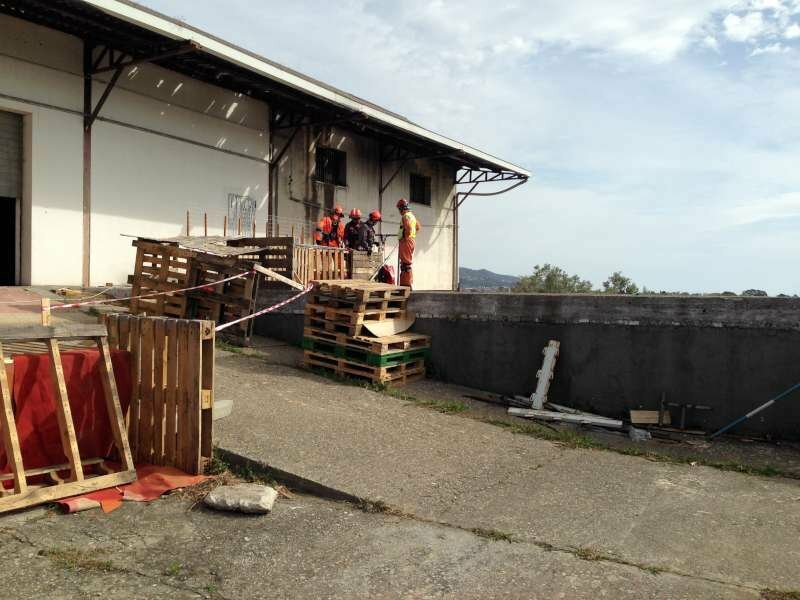 EFRU volunteers worked for weeks in preparation for this simulation, which saw the participation of 70 volunteer rescuers from 14 different European volunteer civil protection teams. 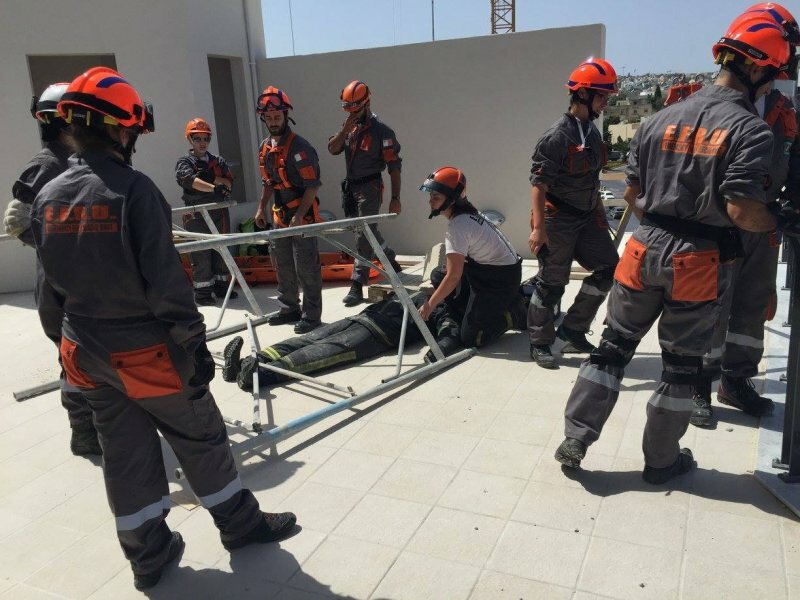 The exercise simulated an earthquake in the Maltese islands, with Maltese and foreign rescuers working together to rescue victims from different locations. 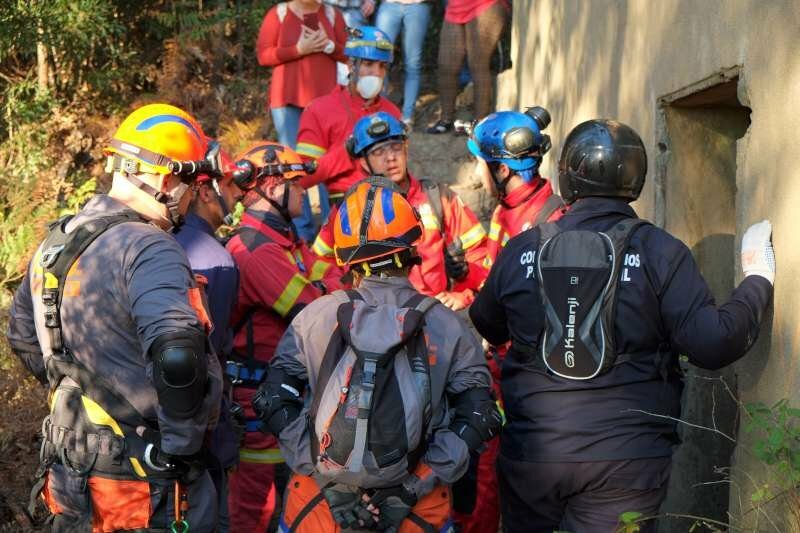 By the end of the exercise, 25 victims had been identified and rescued successfully using Urban Search and Rescue (USAR) and rope rescue techniques. 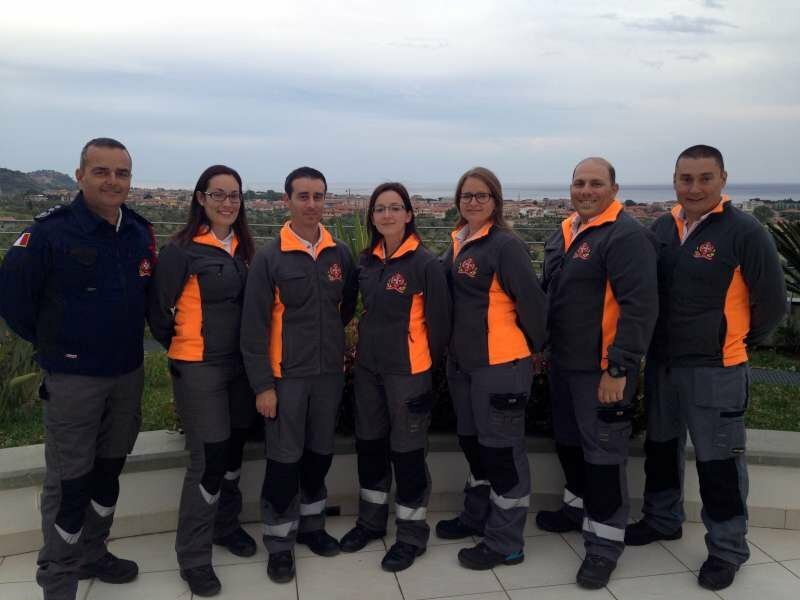 All participating teams, hailing from Malta, Italy, Portugal, UK, Greece, Cyprus, Hungary and France are members of EVOLSAR – the European Association of Civil Protection Volunteer Teams – of which EFRU is a founder member. 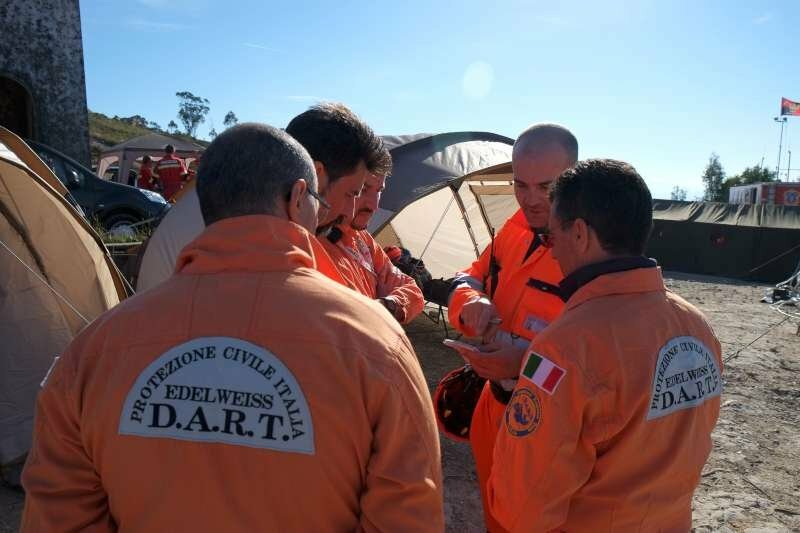 The association aims to have a European group of volunteer teams that train together in various civil protection disciplines, thus being able to deploy as a single group to assist fellow members of the organisation in the event of a major disaster as necessary. 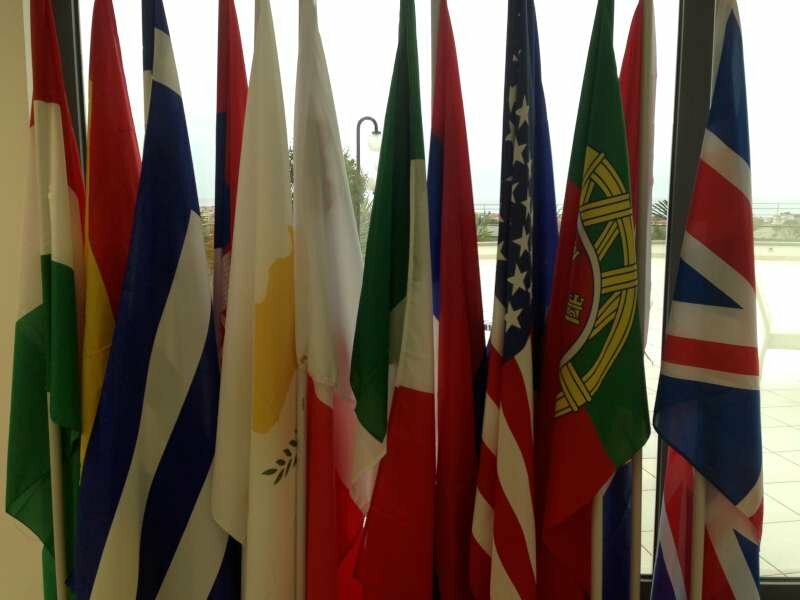 The association is currently made up of fifteen member teams from ten different countries. 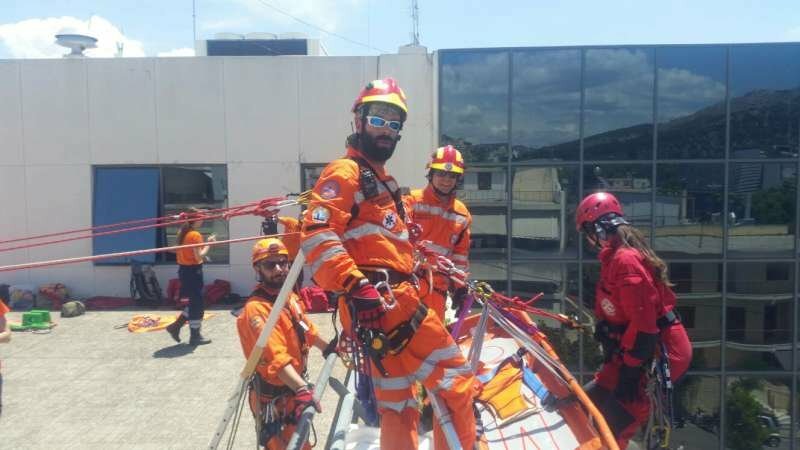 In spite of speaking different languages, the volunteer rescuers are working together, combining their efforts in effective teamwork to refine their skills to be able to assist whenever and wherever they are needed. 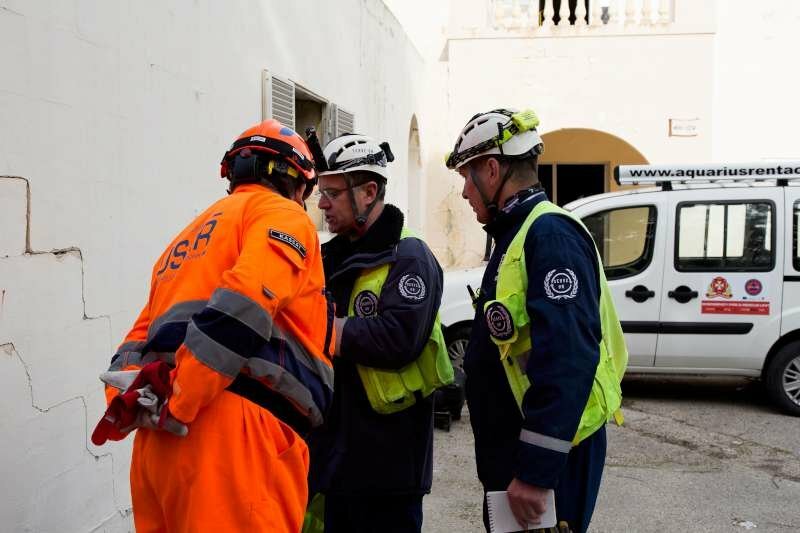 Through this simulation exercise in Malta, the member teams will be able to support the Maltese authorities in case of a local disaster. 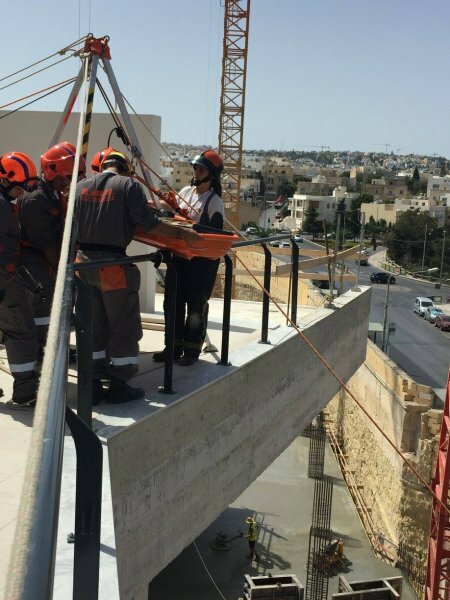 SIMULEX19 is one of the activities of a project funded by the Malta Community Chest Fund Foundation (MCCFF), focusing on volunteer rescue team preparedness in emergency response. 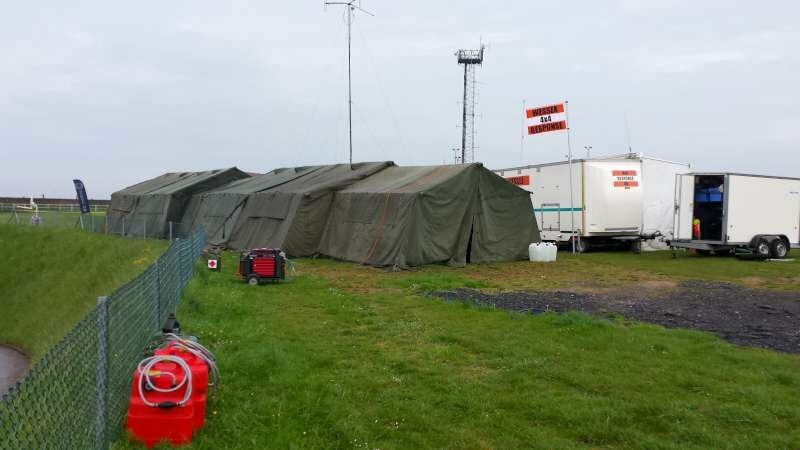 The teams made use of rapid deployment tents for incident command which also doubled up as sleeping and mess quarters, increasing the efficiency of local response teams. At the end of the exercise, certificates were handed to all participants by Hon. Michael Farrugia, Minister for Home Affairs and National Security. 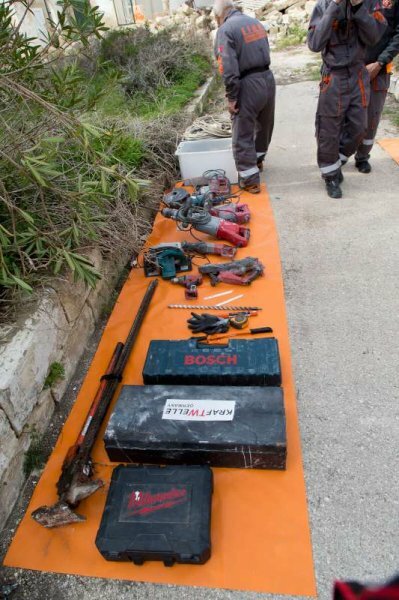 The EFRU would like to thank the Malta Community Chest Fund Foundation (MCCFF), Malta Industrial Parks (MIP), the Siġġiewi Local Council and Go&Fun for their support in making this project possible. July 15, 2018 in Member Interviews, U.S.A.R. In earlier correspondence the editorial team did divulge to our readers that the EFRU was once again heading a multi-national event scheduled for March 2018. It went by the name SIMULEX18 and like its predecessor events, it brought much to the plate of each and every EFRU member. In retrospect, there is no denying that the whole thing was a huge success… yet while the majority of us lay in tatters, trying to regain our energy in the week following the big weekender, Maria, our deputy director and captain of the gigantic, energy-consuming boat that was SIMULEX18, was putting pen to paper. There are no words the editorial team could have written better to capture what this was all about. There is no other way we would want this to be remembered. This is why we choose to share the following thoughts, straight from Maria’s pen, with you, our faithful readers. We hope you enjoy reading it as much as we did! Five days later and I lie here, scrutinising each and every photograph that skilled photographers have yielded thanks to long hours on the field – hours which they spent alongside the Emergency Fire & Rescue Unit (EFRU) and the operational volunteer rescuers of The European Association of Civil Protection Volunteer Teams (EVOLSAR). 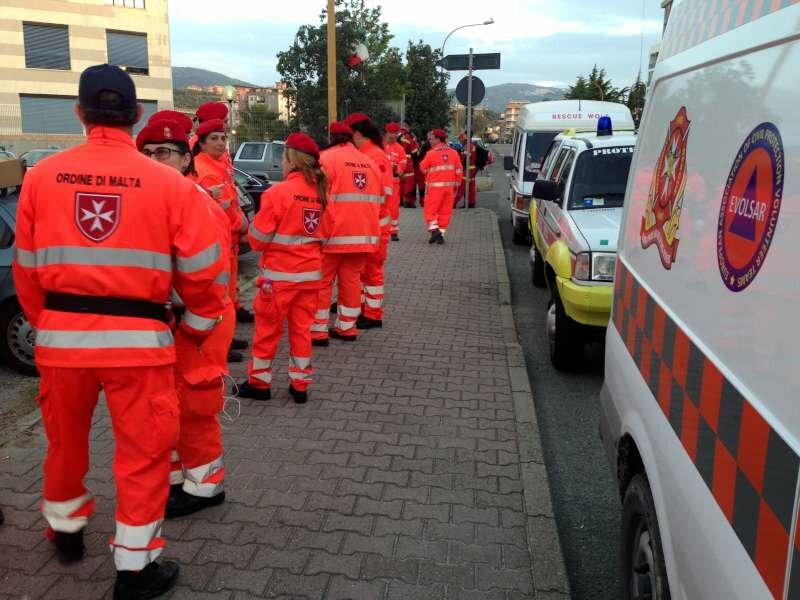 The various uniforms, worn by rescuers from all around Europe, standing next to each other, supporting one another in the several simulated rescue operations… an awe-inspiring sight and an amazing feeling, to say the least. 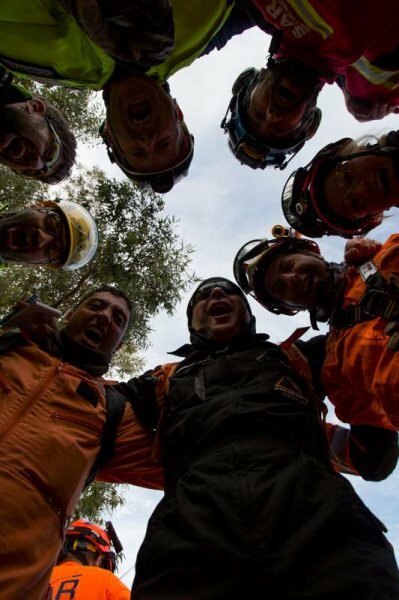 This mental image alone bears witness to the truth we have firmly believed in since before the conception of EVOLSAR: it is possible for rescuers with different backgrounds to come together, work in a rescue environment and function as one multinational team. A theory tried and tested, which now stands proven, to my own (and our members’) delight and reassurance! The concept of the SIMULEX 18 project was created back in October / November 2016 by the EFRU strategists with the support of our proposal writers who joined forces to present a proposal to the Malta Community Chest Fund Foundation (MCCFF). 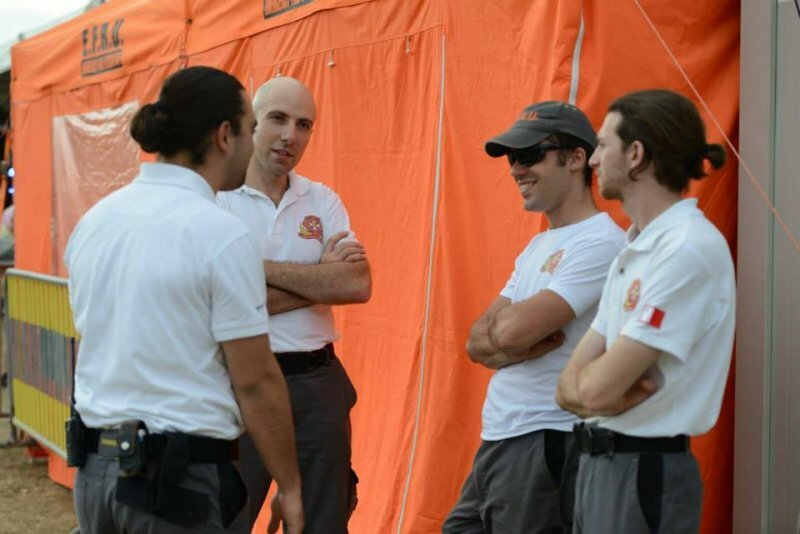 We were honoured to find out, months later, that the MCCFF accepted our proposal and supported us all along to reach the goals of this project: Volunteer Rescuer Team Preparedness in Emergency Response. 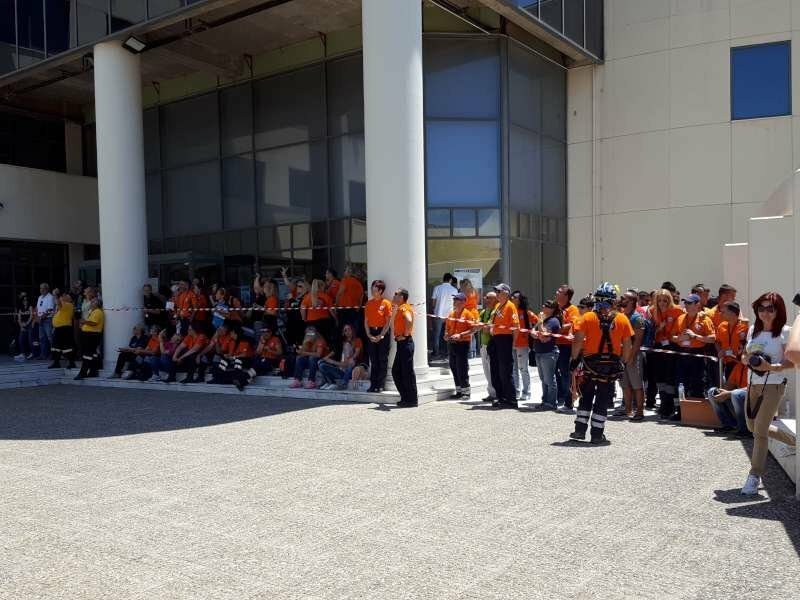 The basis behind this project lies with the fact that Malta is an archipelago of islands, physically separated from other countries and relatively limited in resources – especially human resources – should a major disaster strike. 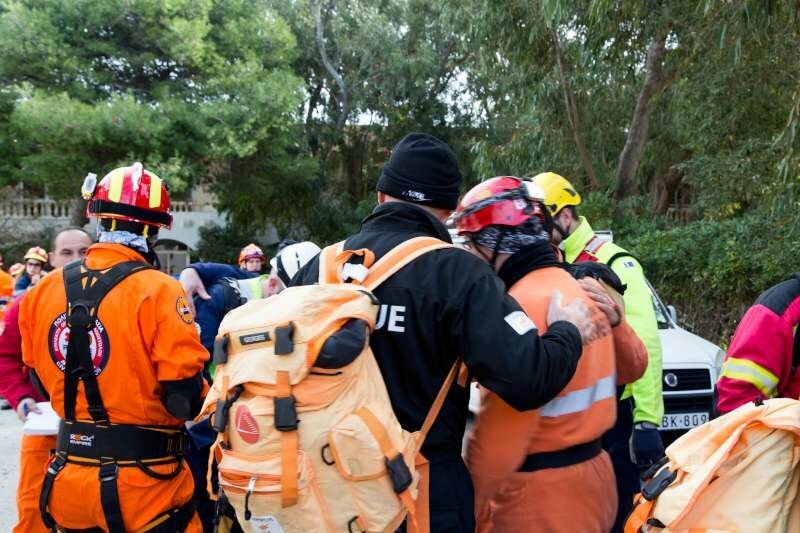 The EFRU has, through its membership within EVOLSAR, come up with a concept that could support Malta in terms of the rescuer human resource in a disaster. 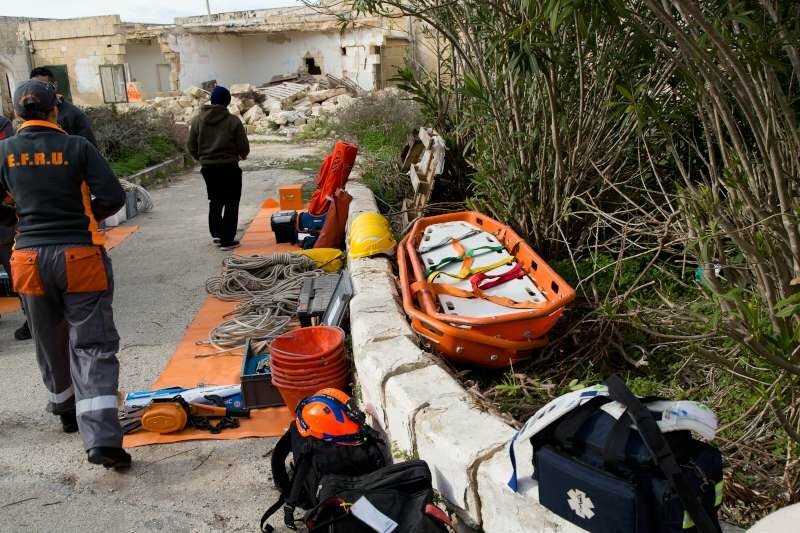 Within a few hours, foreign rescuers from other European countries, could reach Malta, by sea or plane (depending on available routes of access) and provide their support vis-à-vis the human resource whilst operating under the EFRU umbrella. 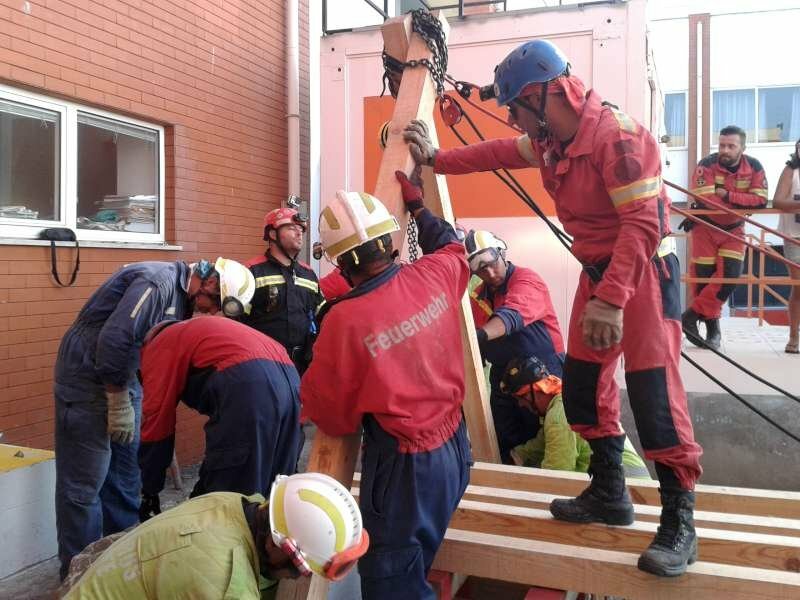 This would be possible as the EFRU is, through EVOLSAR, building on its capacity of trained and professional rescue personnel to operate together irrespective of the team or country that they come from. 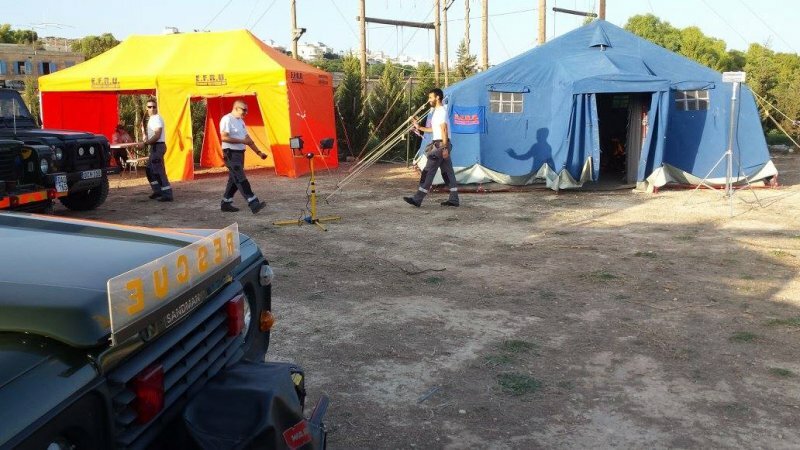 Thanks to the funding of this project, EFRU invested in two rapid deployable tents for use in incident command. 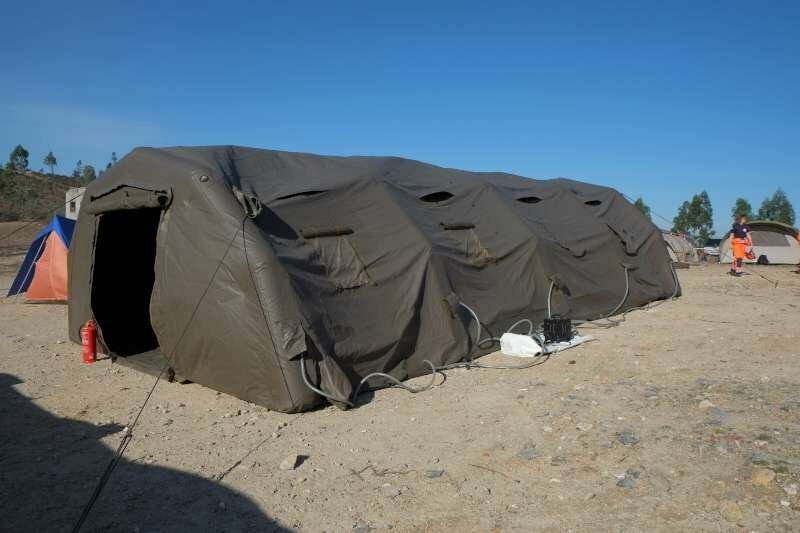 These could be used as medical triage but could also double up as sleeping and mess quarters, in the field, close to a disaster area. 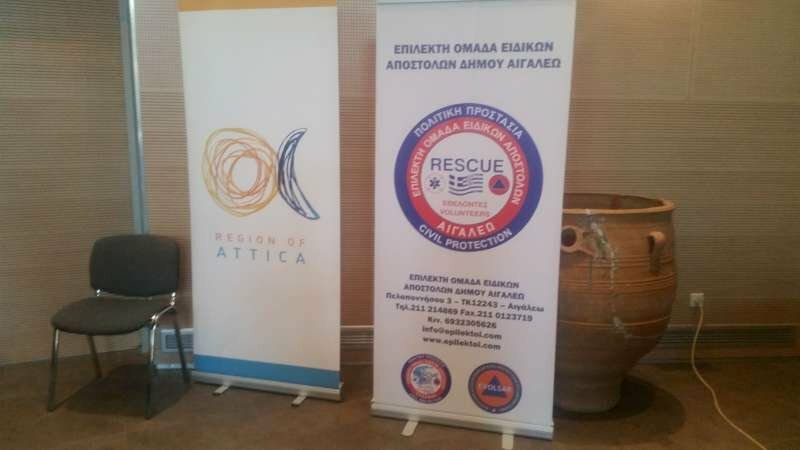 Rescue personnel from abroad, together with the local EFRU rescuers would form teams that are fully functional in support of the local emergency response efforts, thus increasing the efficiency of the local response. 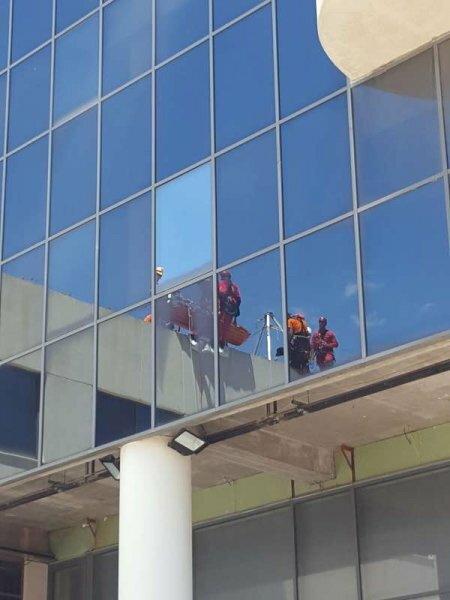 This on-going project includes two simulative rescue operations – one being SIMULEX18 – just held 5 days ago. 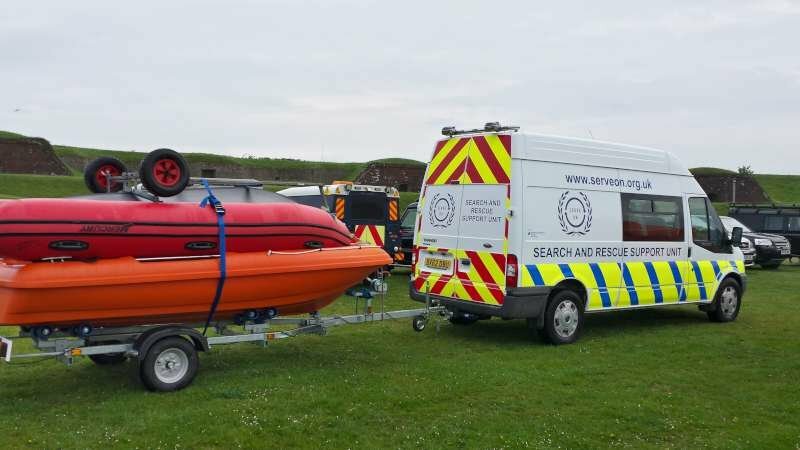 It saw around 40 local personnel operating alongside 40 foreign rescuers, split into two operational shifts whereby each shift operated with two sub-rescue teams. 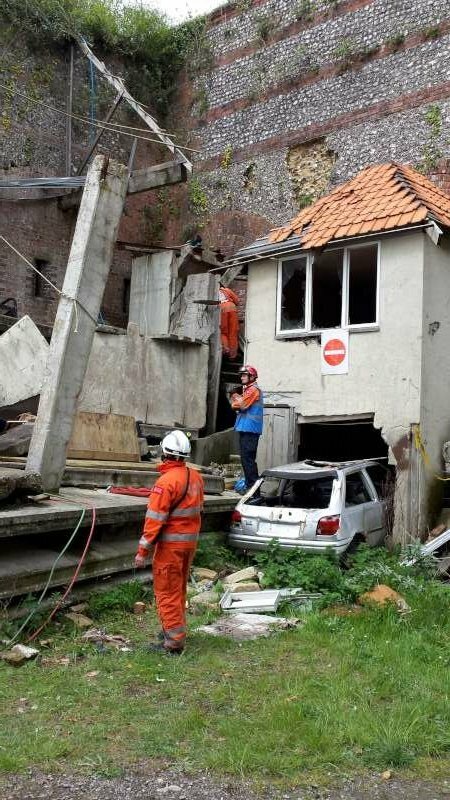 Simulated scenarios included live and deceased casualties lost in rubble in the hypothetical aftermath of an earthquake. 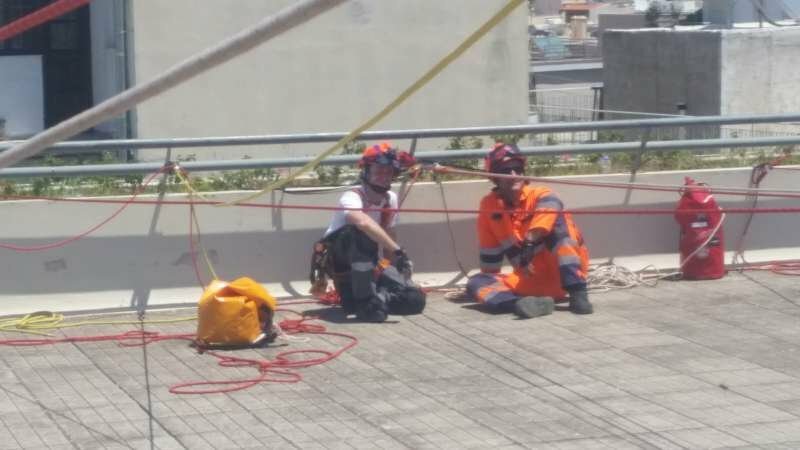 Some casualties needed immediate medical attention in sites that are not reachable on foot, thus required rope access, while others were trapped in confined spaces. 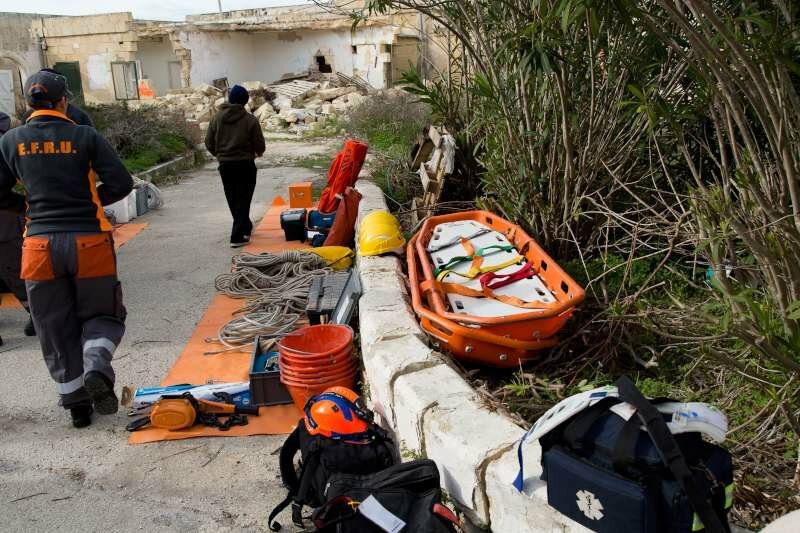 The interoperability being promoted through this project would benefit Malta in the immediate aftermath of a disaster where part of the Maltese Emergency response systems could get crippled because of the nature of our islands. 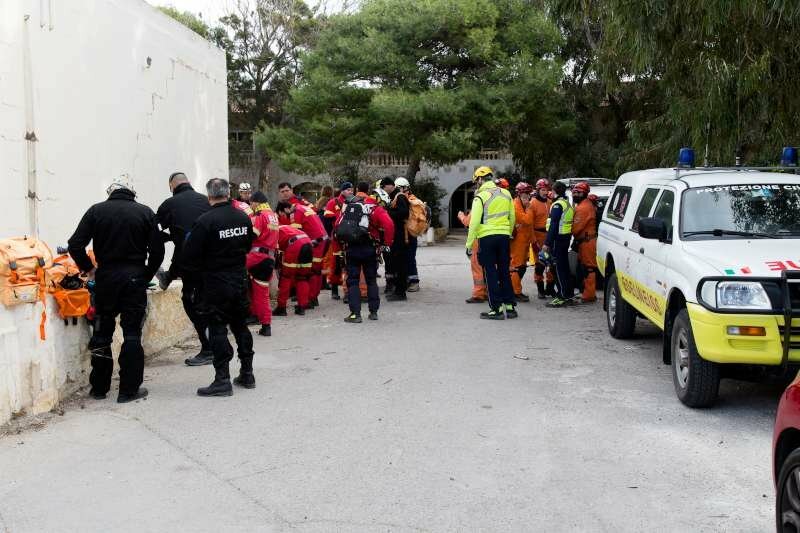 Getting the support of trained rescue personnel from abroad under the umbrella of EVOLSAR could circumvent long bureaucratic procedures ultimately for the benefit of Malta and the Maltese community. From bench to launch the hurdles seem huge. In reality, the challenges are there all along, but a closely-knit team will leave no stone unturned in attaining what it wishes to achieve. SIMULEX18 was a classical example. The quantum of work could be felt from at least three months earlier. Sub-committees led by the EFRU executive were created and instigated to work towards goals that we all believed in. The level of preparation that such a project entails is overwhelming, but once the limits are set, targets are cast and work begins. Flexibility, all along, is key. Bearing in mind that all personnel working incessantly on such an activity is a must. 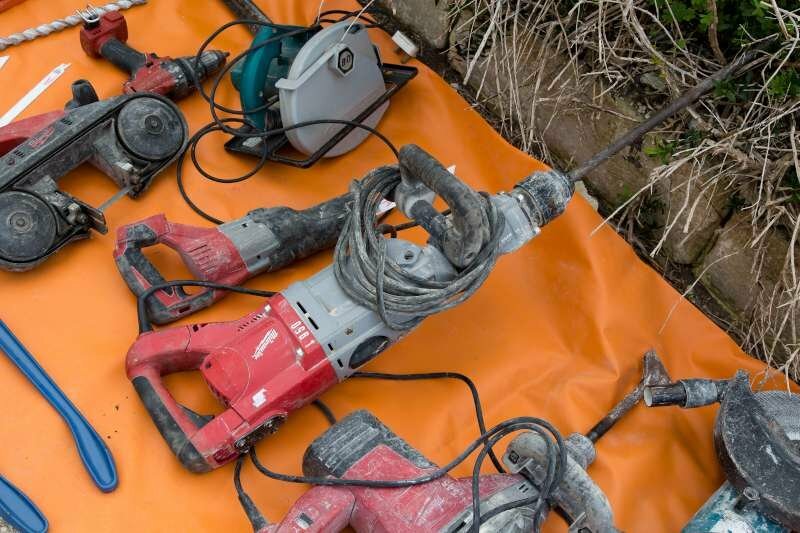 Apart from being volunteers, our members are also full-time employees, students, husbands and wives with demanding work and family commitments in the absolute majority of cases. 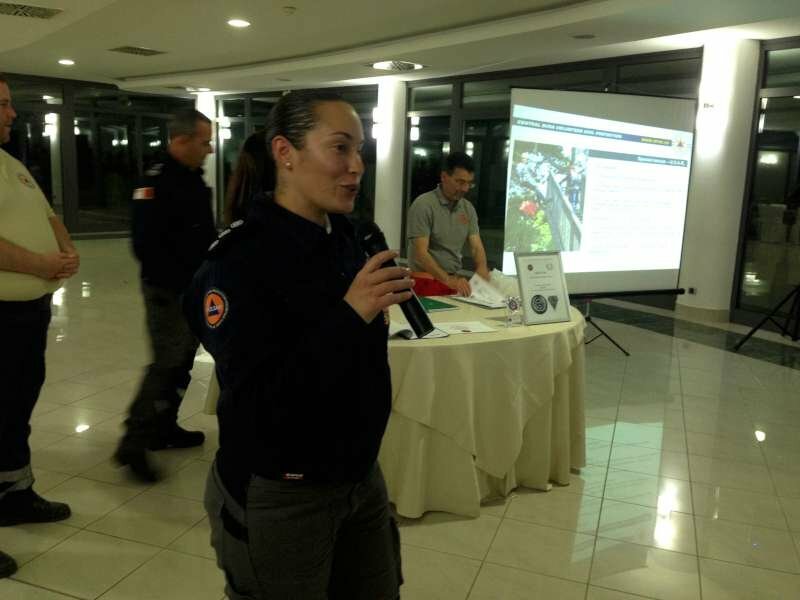 The hardships of personal and professional life are obvious, but those aside, our volunteer rescuers also sacrifice their already-limited time towards the EFRU’s cause and the success of such events. To say that this is simply admirable would be an understatement. Just to mention a few of the multitude of preparations that are involved for such an event, I would start at the logistics. To take care of 40 foreigners from as soon as they land, till their time of departure is no easy feat. 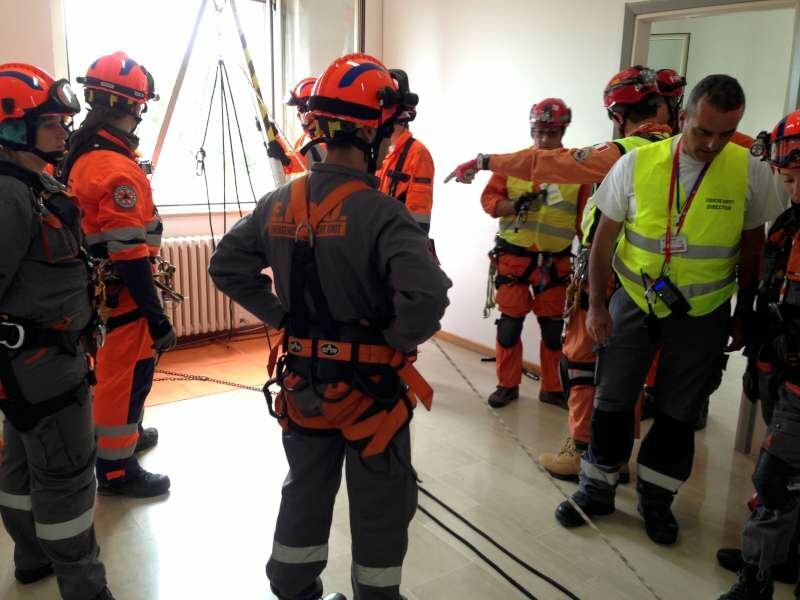 In addition to this, is an endless list of tasks: recceing and choosing rescue simulation locations, planning the simulations to precision, determining where to set up the base of operations and all the arrangements required for the latter to function well, compiling the modus operandi of the incident command, obtaining necessary permits and support from third parties where required, administrative tasks… This while ensuring internal alignment on all fronts – keeping the team and sub-teams well informed all along. Nothing just falls in its place without long hours of planning and brainstorming sessions within small fora where strategies are developed and decided upon. All of these steps take time and no one step may be missed. 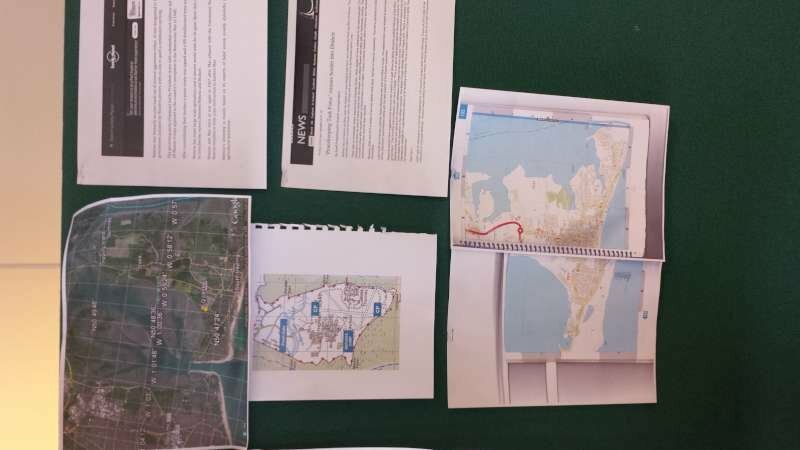 Implementation kicks off a couple of days prior to the actual event and timelines become extremely tight as soon as foreigners arrive in Malta. The discipline of our team is admirable. When one commits to something, rest assured, it will get done, one way or another. The team is reliable. 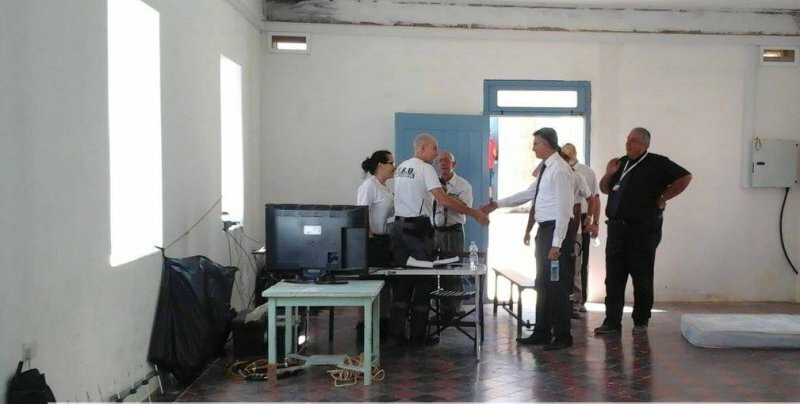 Just prior to the simulation kick off, heads come together to re-align on the fine details. 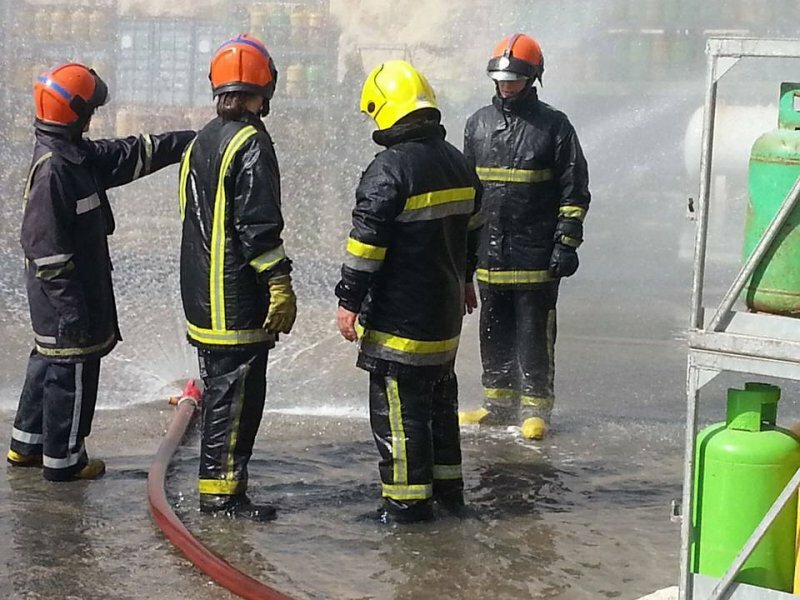 Operational teams need to be briefed and the conduct of the brief (and the detail to which it is done) is critical. Continuous communication between the leaders of the different sub-teams is a must for the smooth-running of the entire event. Moreover, in a 24-hour simulation of the like, one is testing stamina. The day may start off as a warm one but during the night, the cold gets to you. Hunger strikes at times you don’t predict and food is not continuously accessible. Being at the organisational end of it, the weight of your responsibilities start wearing you down but your attention needs to remain undivided. If you are a team leader you need to keep your team motivated, especially if you cannot take intervals of rest at all due to the role. As you go along, during the simulation, logistical problems need to be solved, in the shortest time possible, in the most efficient way. 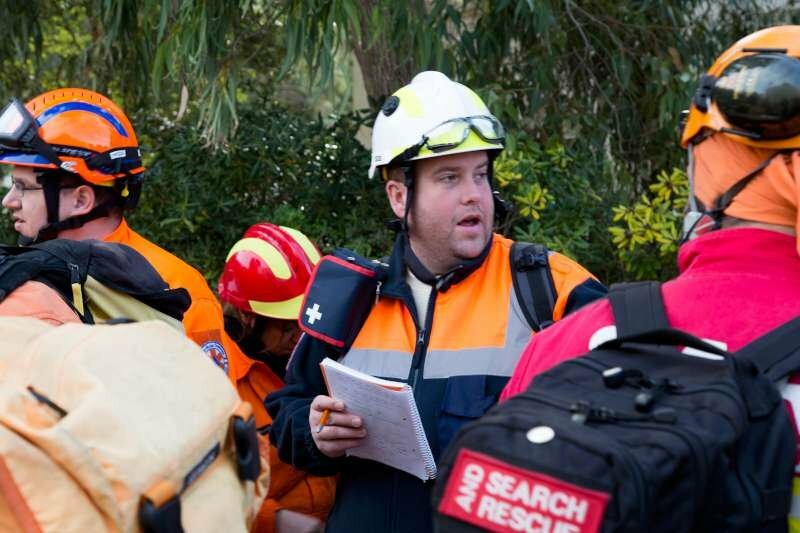 In the incident command teams, the nature of the work necessitates that responsible personnel are generally sitting down for long periods of time. The cold starts affecting the senses and the frame of mind but we find ways to keep each other alert. Interest is retained by keeping up the frequent discussion and occasional humouristic punch-lines. 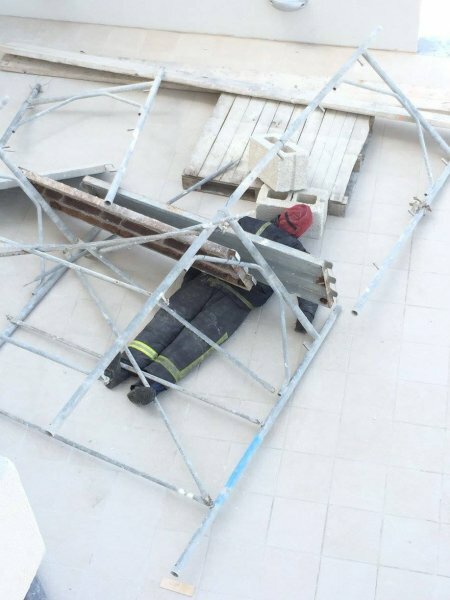 Being in incident command has its disadvantages as well. One sees the stereotypical ‘bigger picture’ where the operations are concerned, but is denied participation. Motivational levels may tend to subside unless fired up by the team spirit, such as that which prevailed during SIMULEX18. 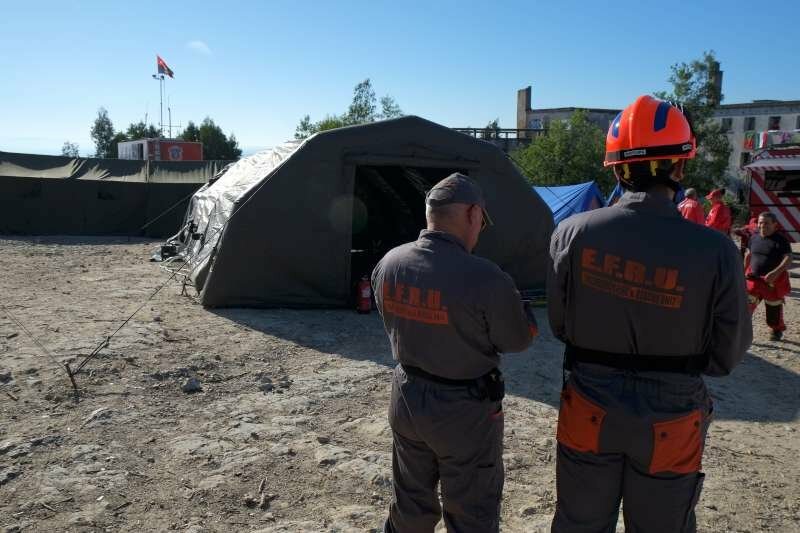 Also worthy of note is the fact that this year EFRU took a step forward in incident command and made use of standard tools of the United Nations for the management of documentation necessary for the Incident Command. 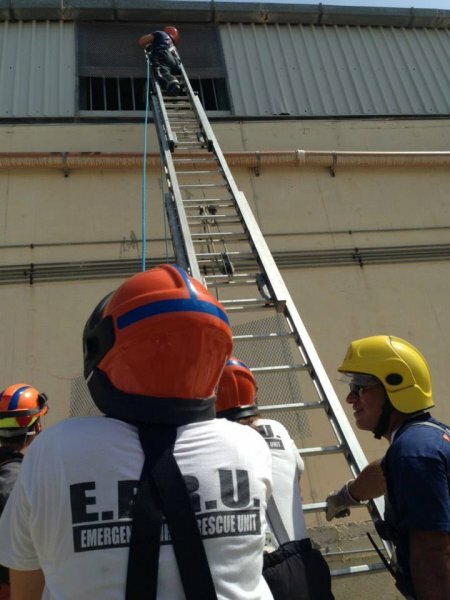 This was a very interesting challenge that all EFRU members took pride in whilst experiencing for the first time, at first hand. This project would not have made it past the launching line without the support of entities that believed in the value of the concept right from the start. 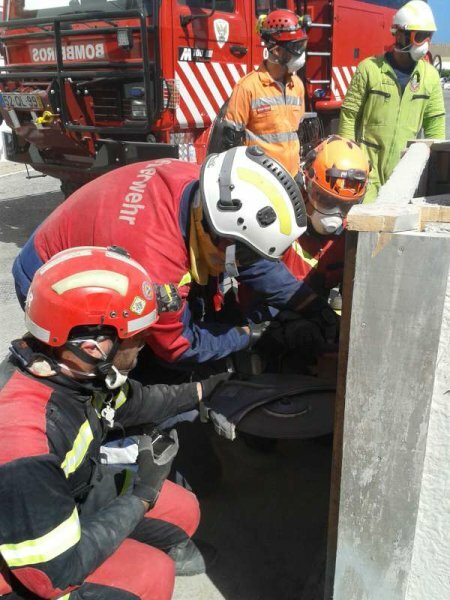 The concept of interoperability was well received by the evaluation board of the MCCFF and the EFRU saw a strong element of support all along during the first year of this project. 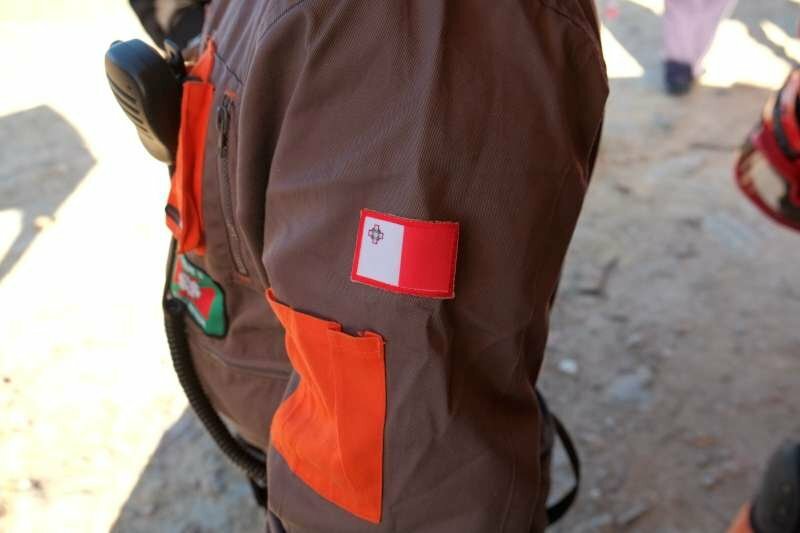 Such support was sought from entities such as the Mosta Scouts group as well as the Scouts Association of Malta for the use of the base of operations and simulation sites. 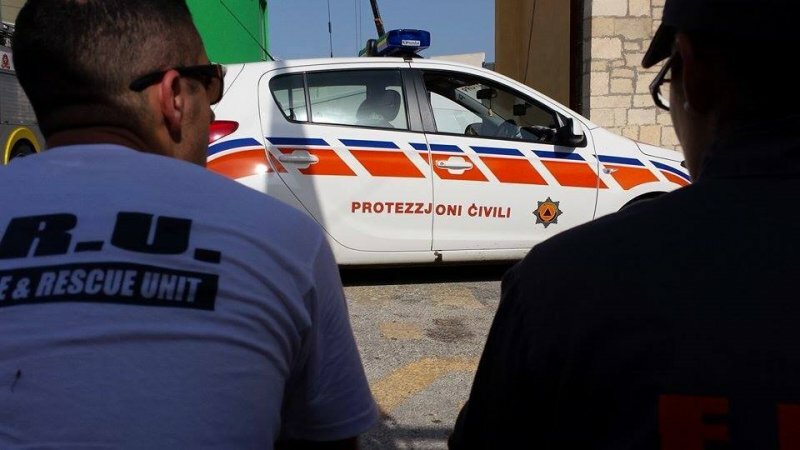 Albeit a hard challenge, the EFRU finally obtained the support of the Maltese authorities for much needed permits for certain simulations. 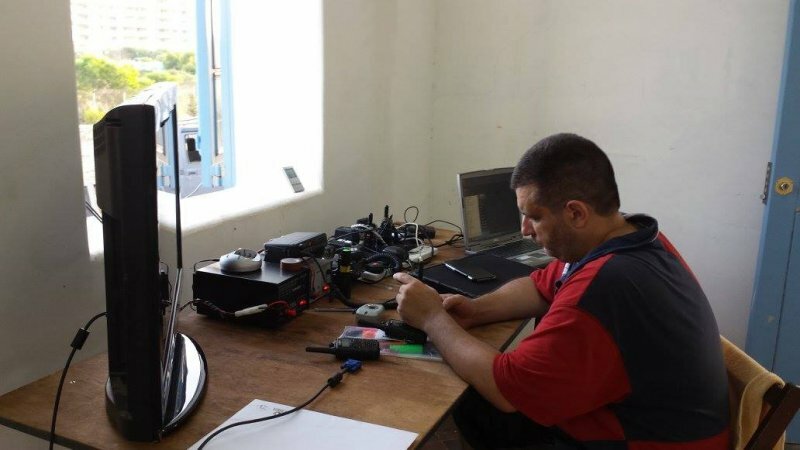 Entities such as Vodafone, printing presses and food suppliers supported EFRU with the provision of internet keys for the event, printed material, marketing material and food supplies at no or extremely reduced costs. 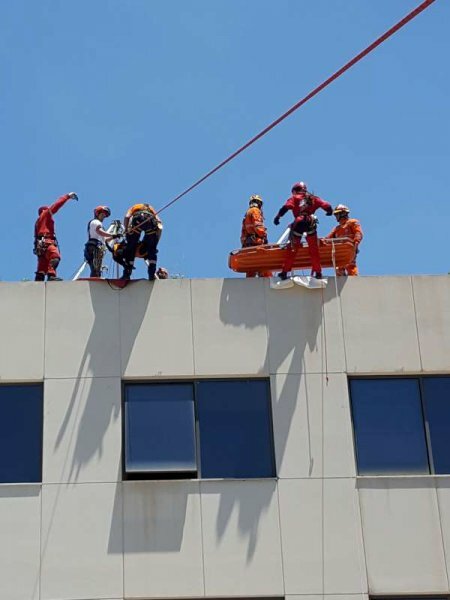 It is thanks to the belief of the MCCFF, other non-profit organisations and commercial entities that such an event could be moulded into a successful one by the able EFRU team of rescue volunteers. Well done Team! The pride of being part of this amazing team is, simply put, indescribable. 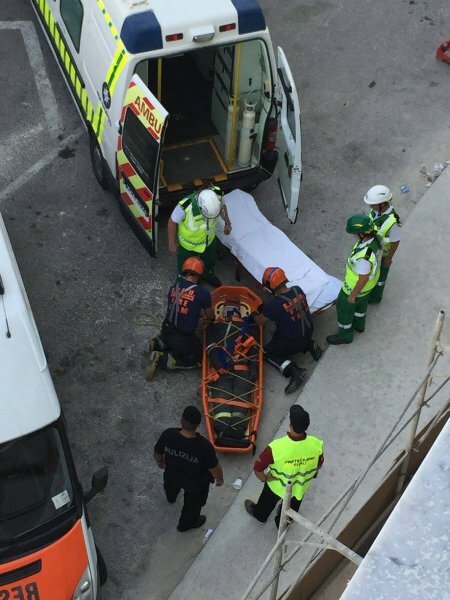 The Emergency Fire & Rescue Unit, Malta. September 27, 2016 in U.S.A.R. 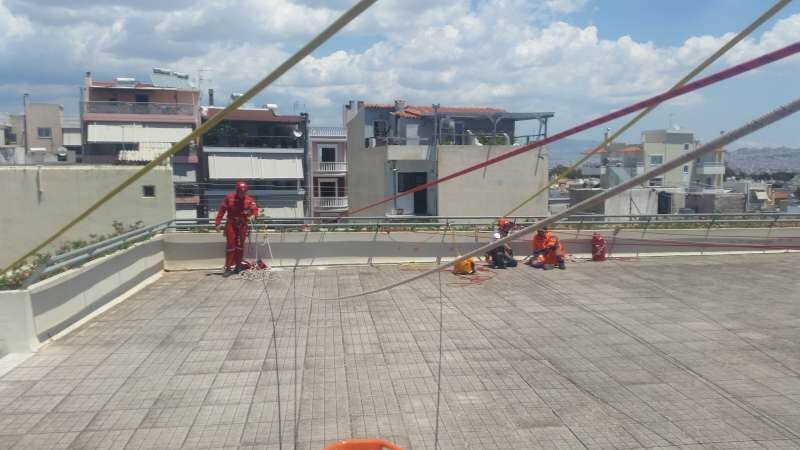 Early last June, three volunteer members of the Emergency Fire & Rescue Unit (EFRU) travelled to Athens, Greece to take part in ENCELADUS 2016, the 2nd instance of an International Training Conference on Earthquake Disaster Response & Earthquake Simulation exercise. 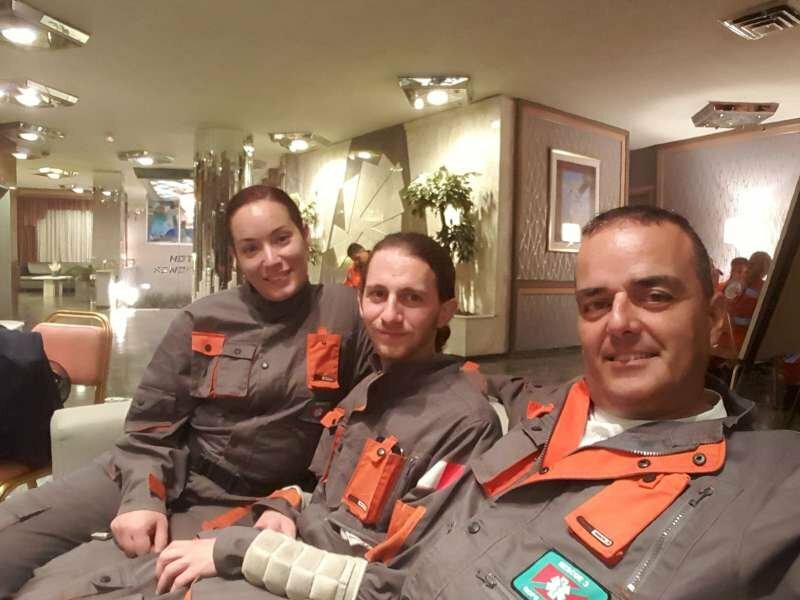 ENCELADUS 2016 was organized by the Greek team – Elite Team Special Missions of Greece (EP.OM.E.A.) 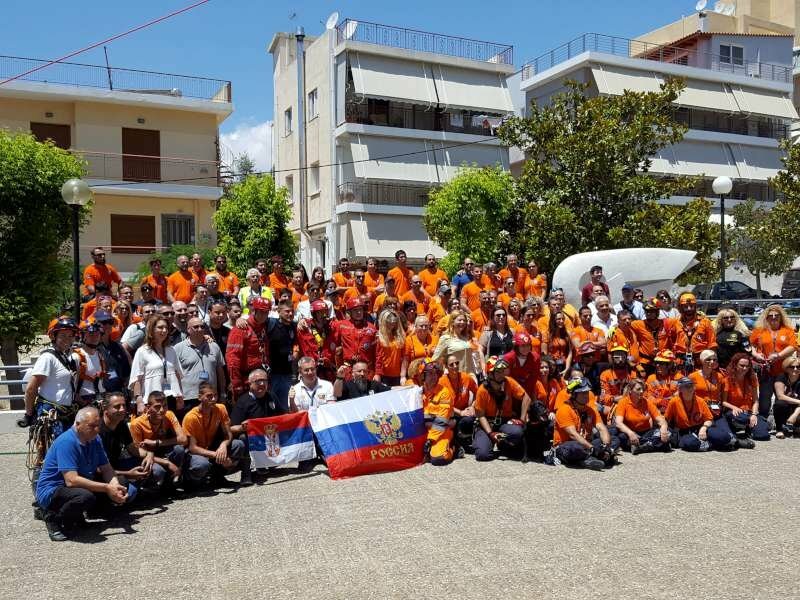 with the support of the Municipality of Egaleo, which saw the joint venture of various EVOLSAR (The European Association of Civil Protection Volunteer Teams) teams and other volunteer teams from Europe. 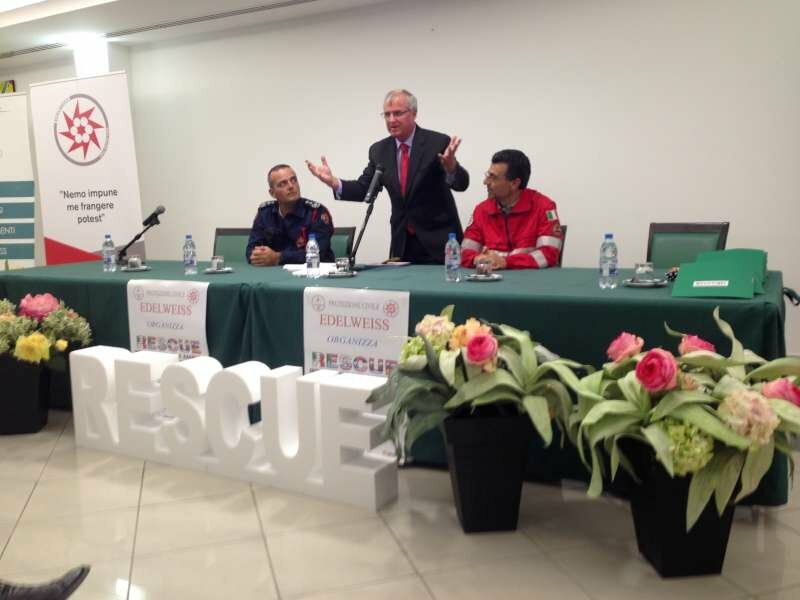 The conference tackled various topics including civil protection, geology, meteorology, first aid during natural disasters, firefighting and disaster response. For EVOLSAR, this conference was an important occasion where the Association was presented to a wide ranging audience by the EFRU Director and EVOLSAR President, Ivan Barbara. 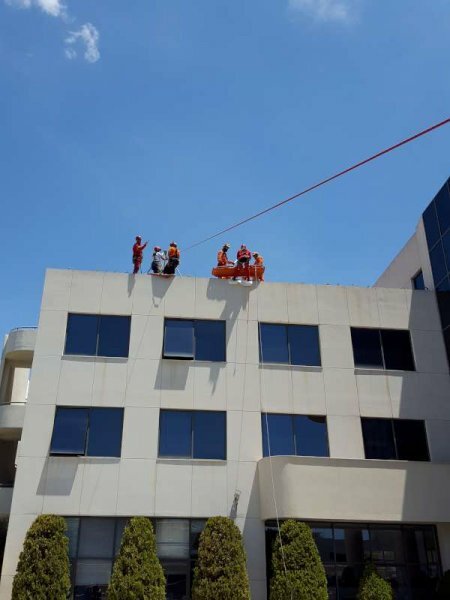 Following this introduction, EVOLSAR team members worked as one team in setting up an aerial ropeway system as well as a high angle rope set up, both of which to serve for rapid evacuation of a casualty with a rescuer, as a demonstration to corroborate EVOLSAR’s work and capabilities. 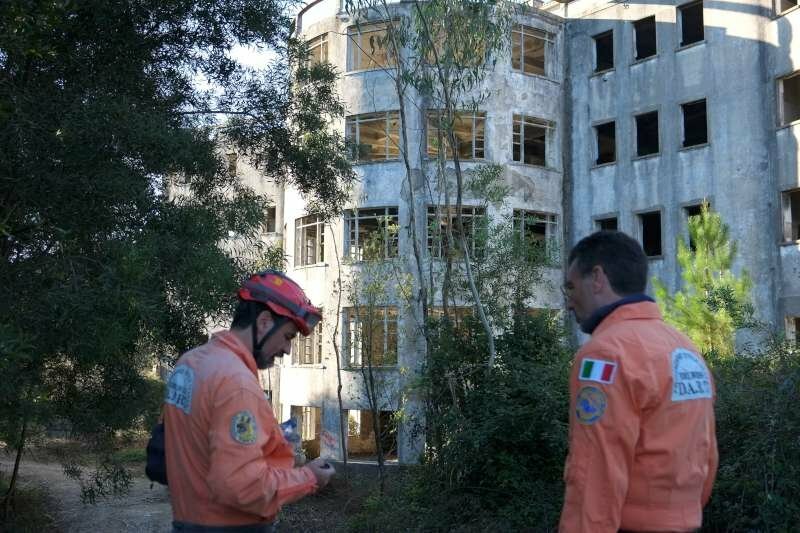 The climax of this activity was reached on the last day when volunteers headed out at 0300hrs for a rapid response exercise in a real Earthquake-struck building (a building that was put out of use a number of decades ago due to damage inflicted by a real earthquake). 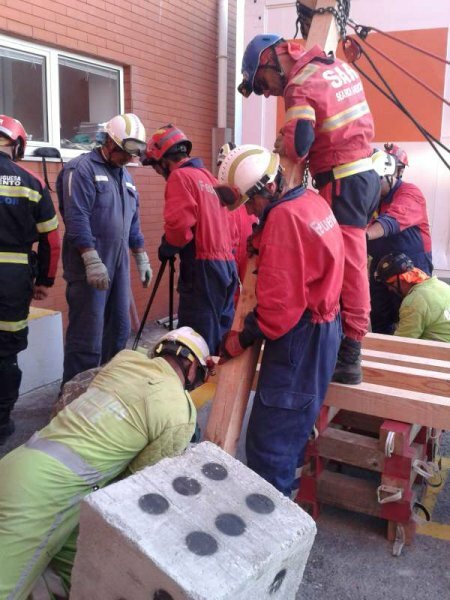 Therefore, in an Earthquake-stricken building scenario, the EFRU members worked as part of different teams, whereby teams were construed of volunteers coming from different organisations and various countries. 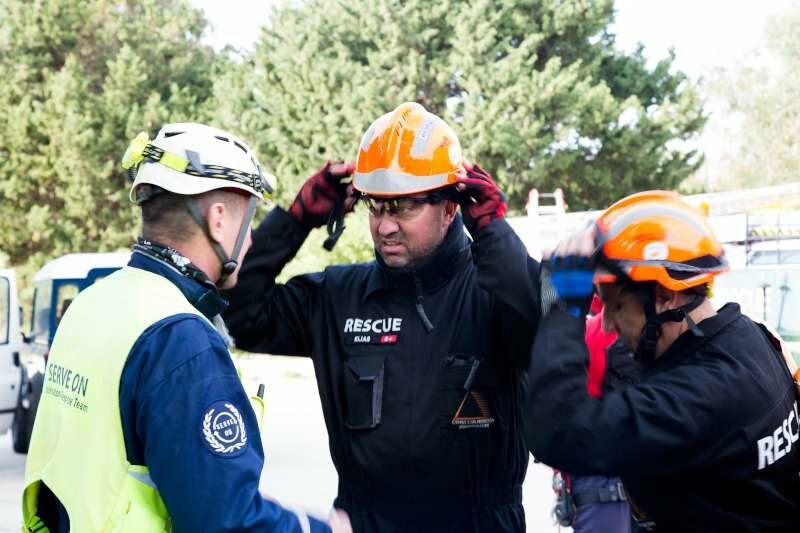 This may at times present itself as a problematic situation in view of language barriers, however, rescue techniques may be adopted as a common language that requires no excessive use of words. 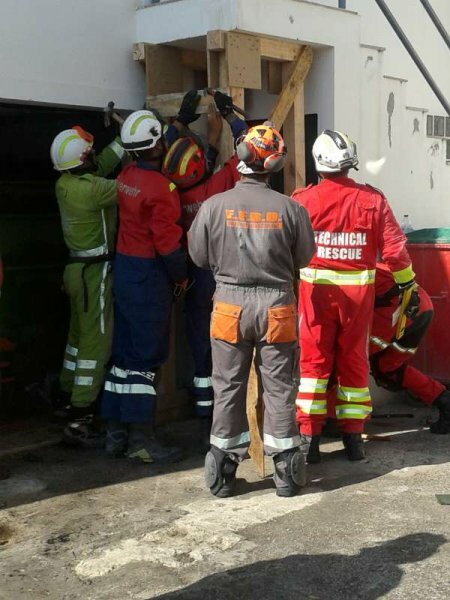 Through EVOLSAR’s intervention on harmonisation of training in rescue as well as in operations, such difficulties are being minimised or addressed. The EFRU is currently leading an EU funded project (ERASMUS+ KA2) with the specific aim of setting up a common manual for all EVOLSAR teams, enabling effective sharing of information and networking. 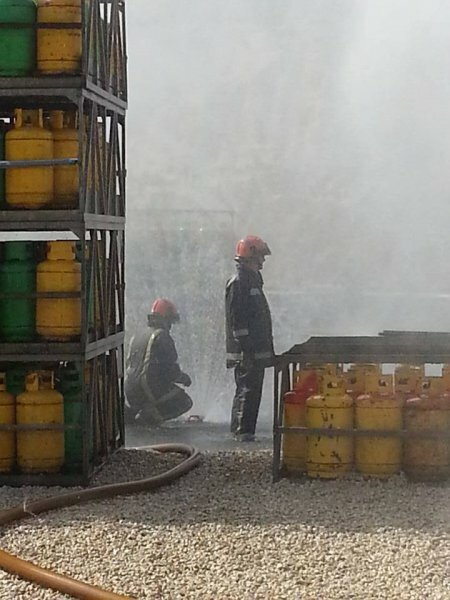 It is through training activities as held in Greece that the necessity of harmonisation surfaces so clearly. 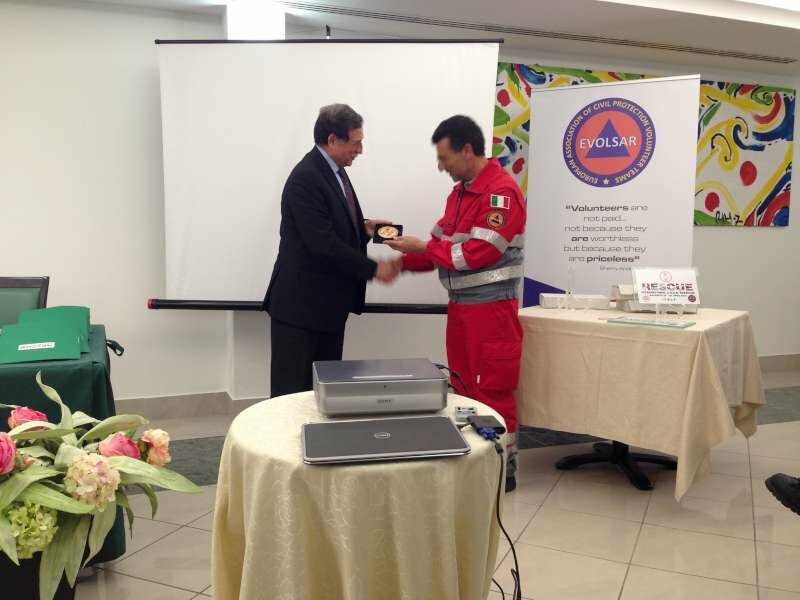 Therefore, we would like to show our deepest gratitude to our Greek counterparts in EVOLSAR – EP.OM.E.A.. 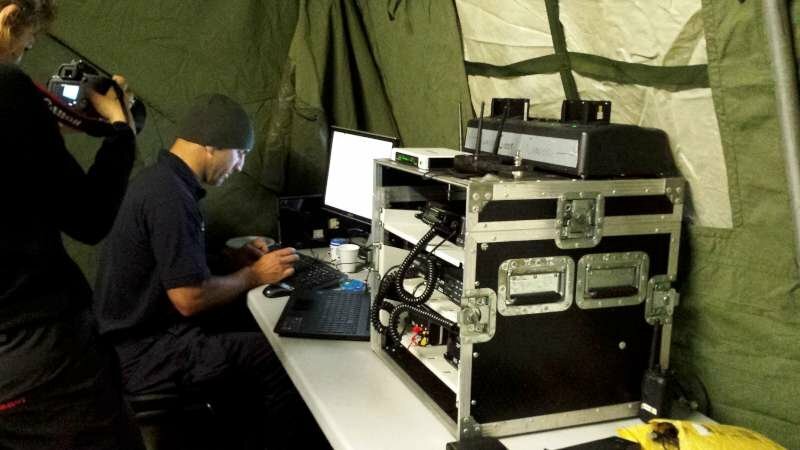 It was yet again another remarkable experience for the EFRU volunteers in their quest for networking and interoperability. 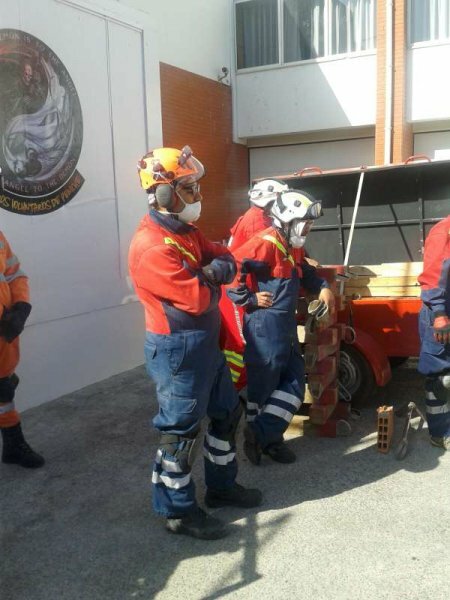 Two volunteers from the Emergency Fire and Rescue Unit (EFRU) recently joined a group of Portuguese professional and volunteer rescuers in an intensive Urban Search and Rescue (USAR) course held at the Bombeiros Voluntários De Peniche headquarters in Peniche; a picturesque coastal town situated in Western Portugal and best known for its rich marine resources. 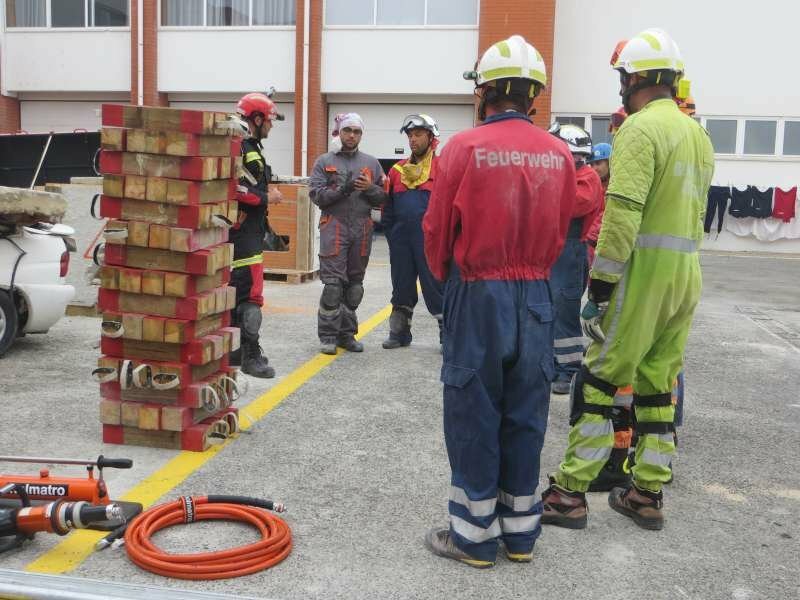 This seven day course was delivered by the skillful and licensed instructor Francisco Rocha, on behalf of the Escola Portuguesa de Salvamento (EPS). 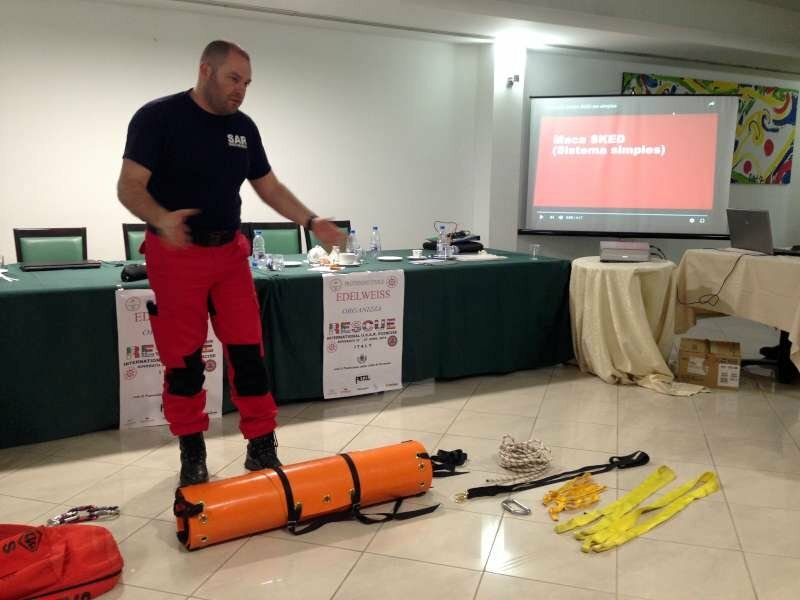 The course was kicked off with an overview of the INSARAG guide lines for international deployments, followed by a lecture on the organisation of Search and Rescue (SAR) operations, including elementary logistics, important safety measures and the types of collapsed structures. 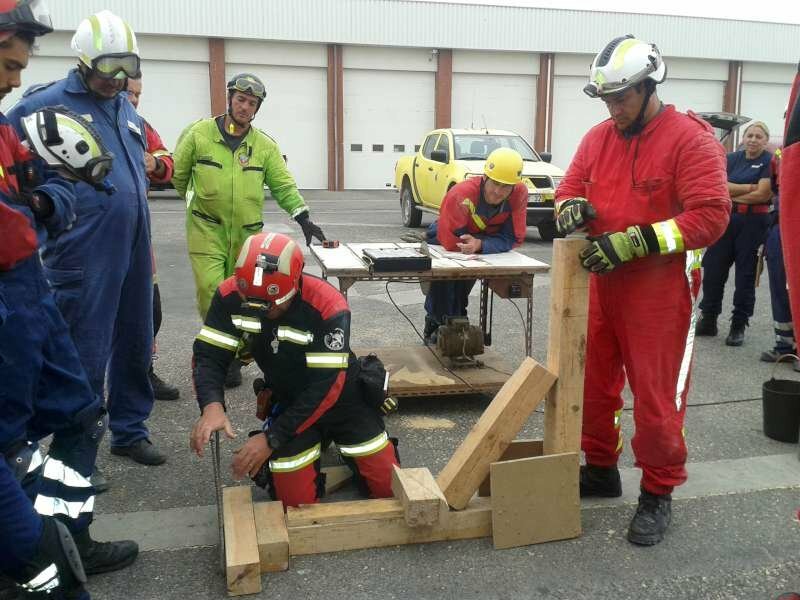 The course then progressed to hands-on exercises to practice different USAR skills, which included cribbing techniques to safeguard the rescuers’ safety,approaches to casualty extractions in confined spaces, use of cutting tools and inspection cameras, indispensable for wall and roof penetrations, load shifting techniques in multiple scenarios and also shoring systems that support collapsed structures to create a secure area for the rescuers to reach the casualties. 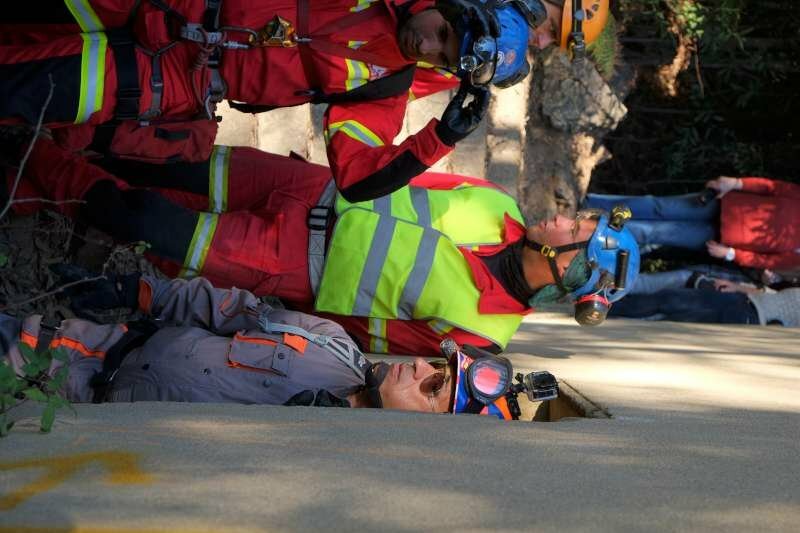 A final 24-hour exercise in a simulated earthquake-stricken scenario served to put all these skills and techniques into consolidation. 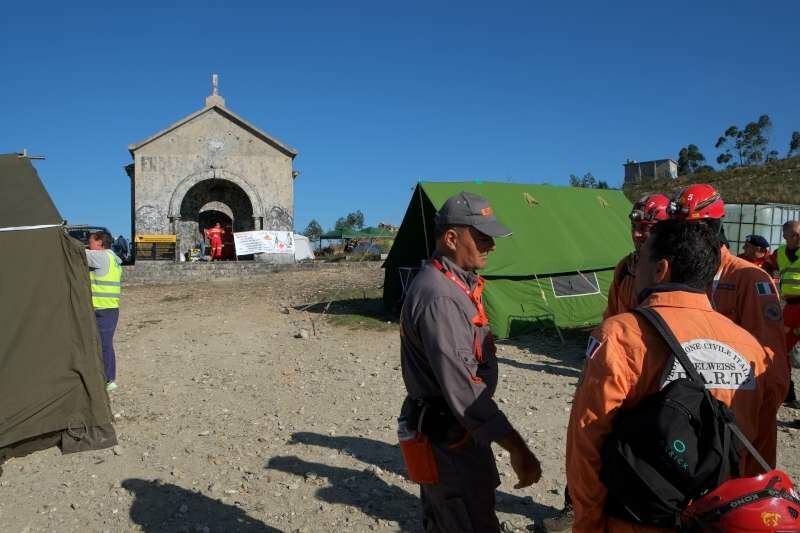 The trainee rescuers were split in two teams to work in rotating shifts; one team manned the camp base and took charge of the communications post while the other was deployed at the disaster area to perform the actual search and rescue. 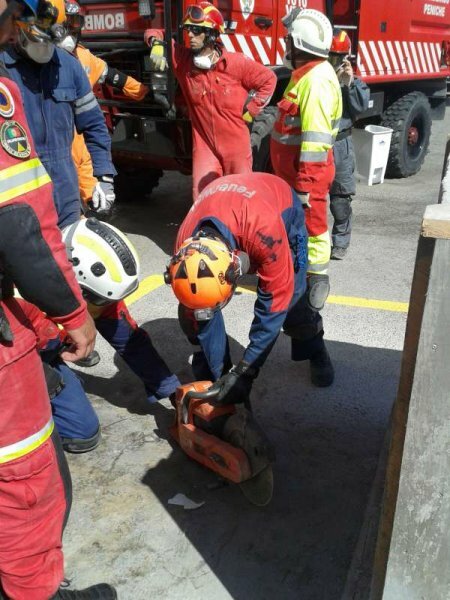 Despite the challenging obstacles and difficulties the teams had to face, they managed to successfully extract the casualty in a safe and timely manner. 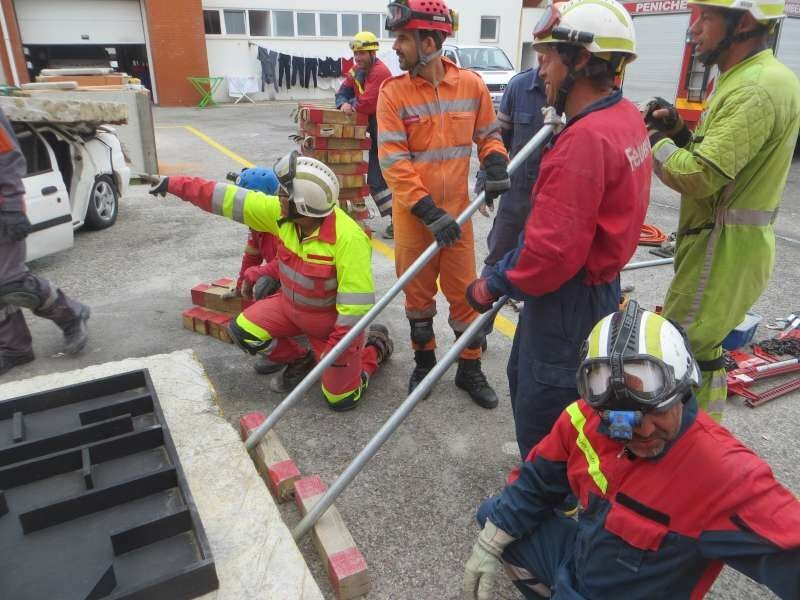 The EFRU volunteer participants described the course as one amazing and unforgettable learning experience, where they have achieved a significant level of preparedness in the USAR discipline to enable them to work effectively when dealing with real life rescue situations. 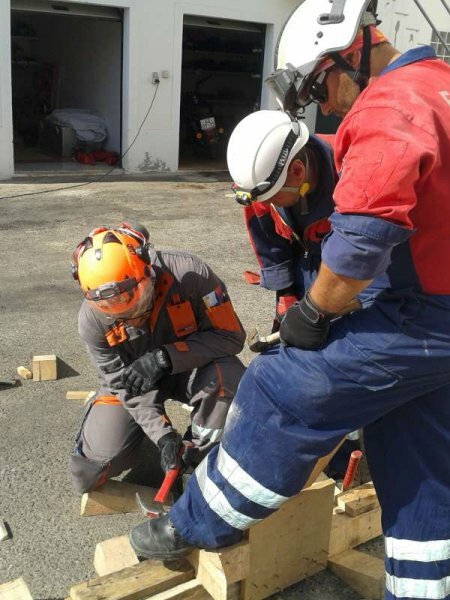 Participation in this course was only made possible thanks to the networking connections effected by the EFRU through the European Association of Civil Protection Volunteer Teams (EVOLSAR), in which both the EFRU and the EPS are among its founder team members. June 11, 2016 in U.S.A.R. 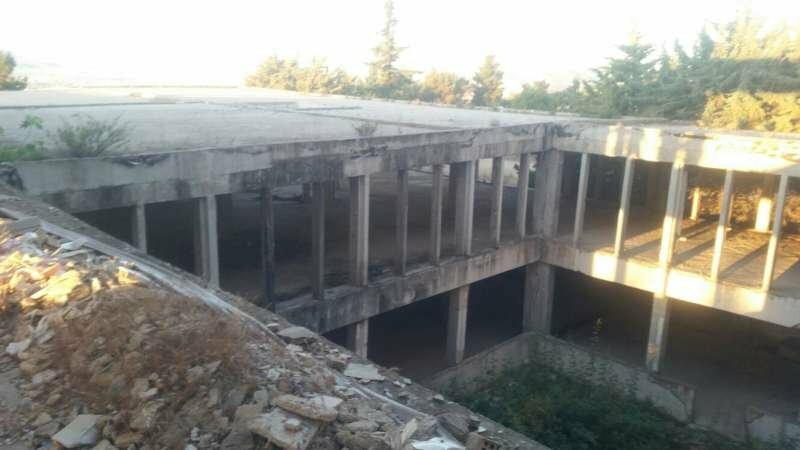 A magnitude 6.8 earthquake strikes Drachir with extensive damage, a fictitious developing country with a history of political rivalry and instability, conflict and deteriorating infrastructure, and with existing humanitarian concerns. Several villages are devastated, roads are blocked with landslides in various places, and main town is at risk of flooding from an overfilling river. 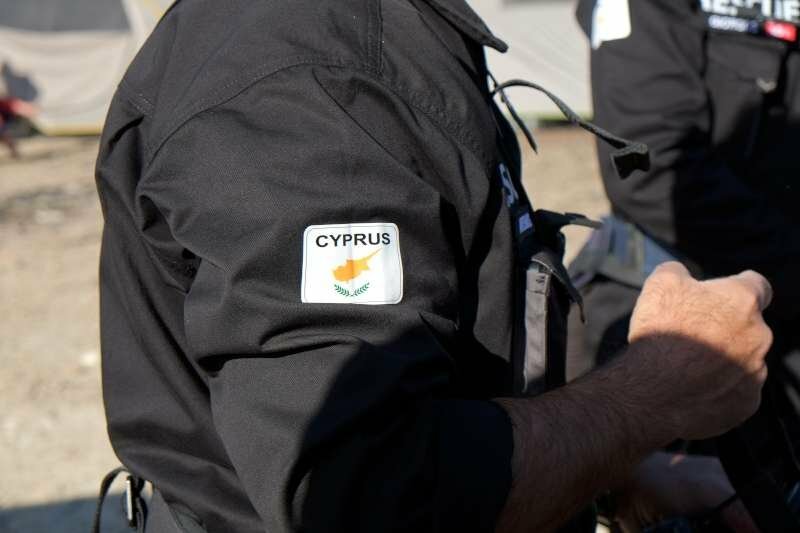 Obstructive police, restricted communications, logistical complications, refugee management, displaced violent ethnic groups, constant security and terrorist threats, kidnappings, severe humanitarian violations, curfews and militarised zones further prevailed the situation. 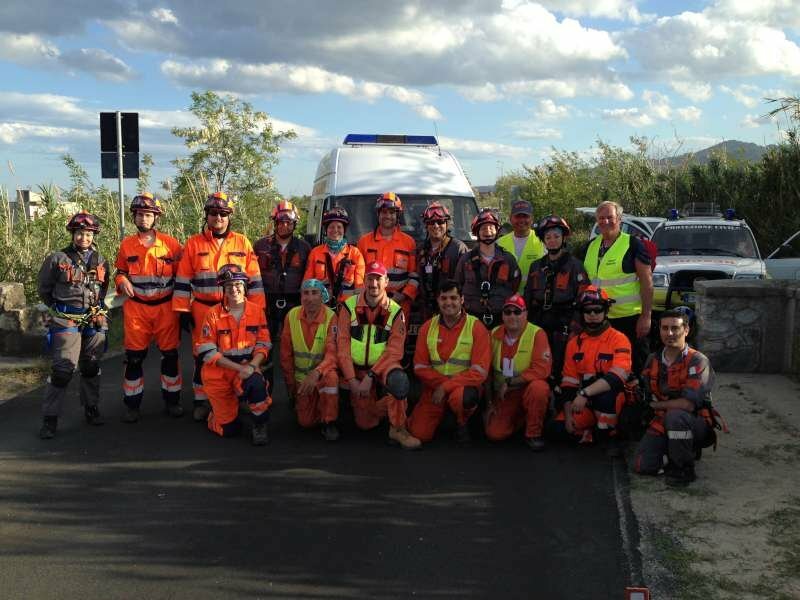 This was the scenario presented in SimEx 2016, a medium scale emergency response exercise focusing on Urban Search and Rescue, humanitarian assessment and response in the initial phase of an emergency, organised by the University Of Portsmouth, UK in May 2016, involving over 400 participants. 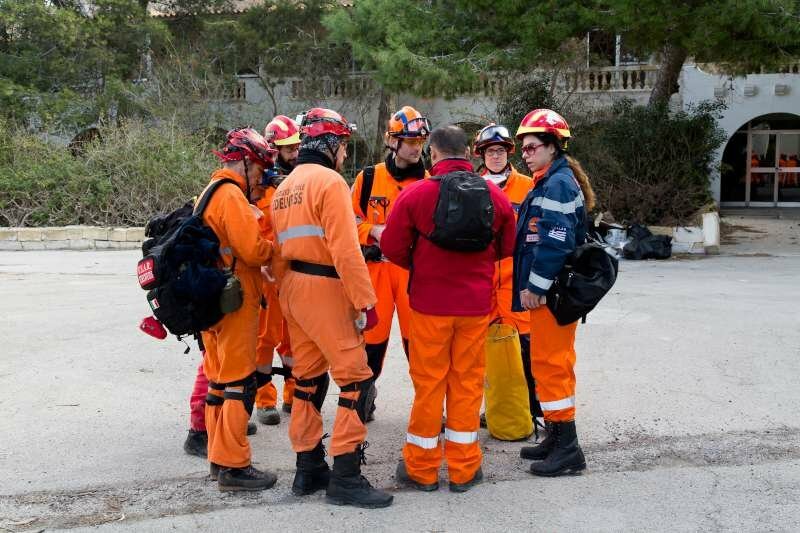 Students from the MSc in Crisis and Disaster Management acted as the United Nations Disaster Assessment and Coordination (UNDAC) team, organising response and relief efforts to assist the devastated country.The disaster management process called for effective collaboration between the affected nation’s government and a number of international responders, fire and rescue services, specialists and government departments, including Hampshire Fire and Rescue USAR team, Cheshire Fire and Rescue Service, Essex Fire and Rescue, London Fire Brigade, Serve On ERT and CRT, the British Army, The Foreign and Commonwealth Office, MapAction, HART(Hazard Area Response Teams), UK National Disaster Victim Identification Unit, British Red Cross, SARAID (Search And Rescue Assistance In Disasters), SkyWatch Civil Air Patrol, Rescue Global, RAYNET (Radio Amateurs Emergency Network), Wessex 4×4 response group, and EFRU (Emergency Fire and Rescue Unit) from Malta. 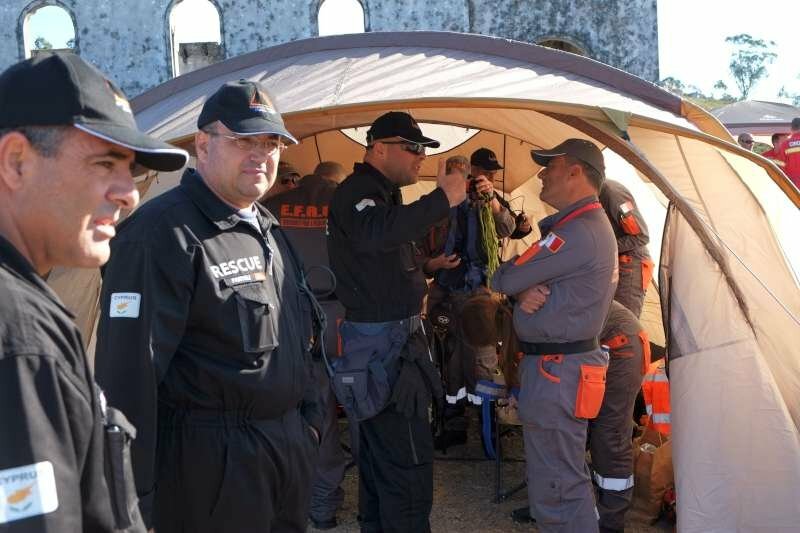 Over the three day simulation period, the EFRU team, in collaboration with Serve On, assisted in setting up the Base of Operations (BoO), participated in the ferrying and attending of refugees from the stricken country, helped in coastal surveys, assisted Hampshire Fire and Rescue, and ServeOn ERT teams with various USAR tasks, and provided immediate lifesaving assistance in a demilitarised refugee camp. 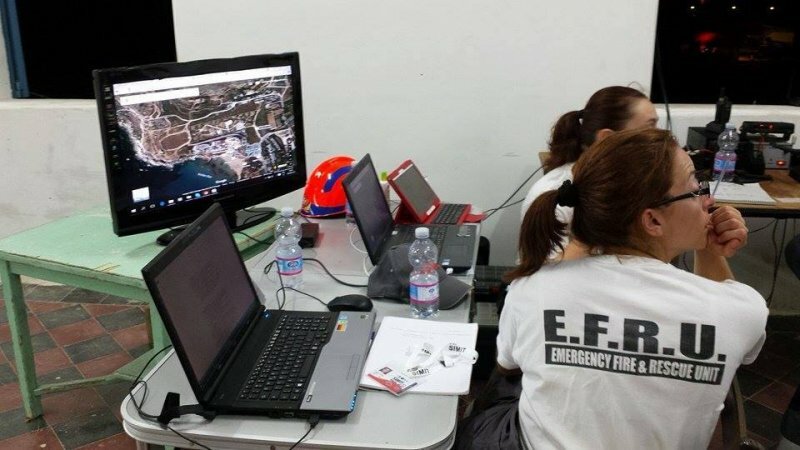 This exercise proved to offer an invaluable experience to our EFRU volunteers, particularly in aiding the improvement of their technical and interorganisational coordination skills required in similar disaster response deployments, as it offered a realistic multi-sector platform for various teams to collaborate and share their respective capabilities. This unique opportunity was made possible thanks to EFRU’s and Serve On’s mutual relationship within the EVOLSAR Association. June 7, 2016 in U.S.A.R. 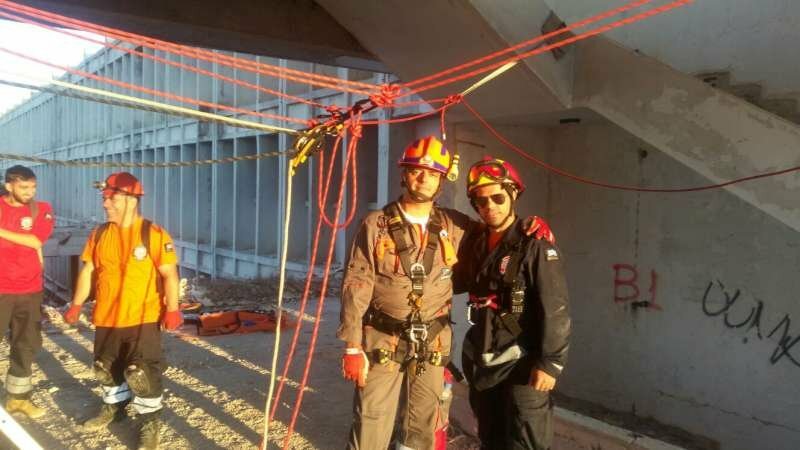 The end of April brought with it the annual visit to Soverato, Italy, for a team of EFRU members who travelled to participate in a joint training with a number of European rescue teams. 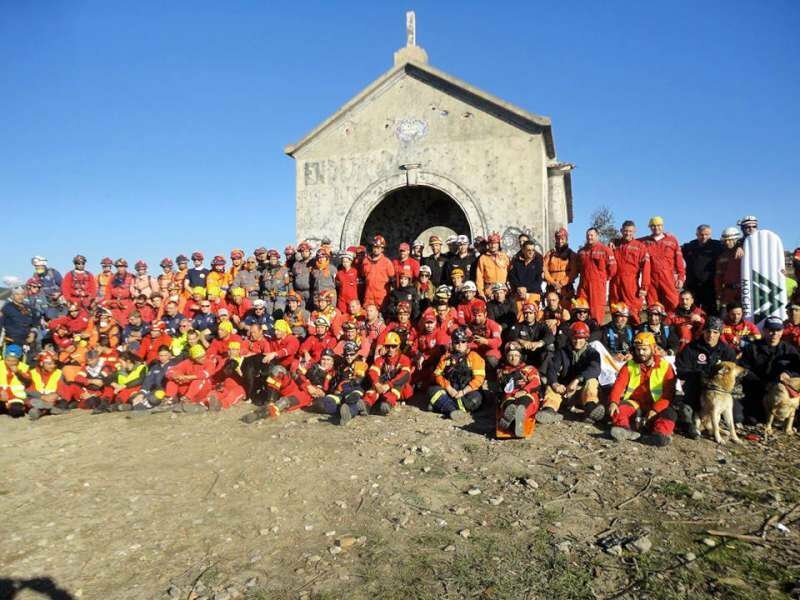 Rescue 2016 was organised by the Italian team Edelweiss, and involved teams from the EVOLSAR association together with other Italian and European teams. 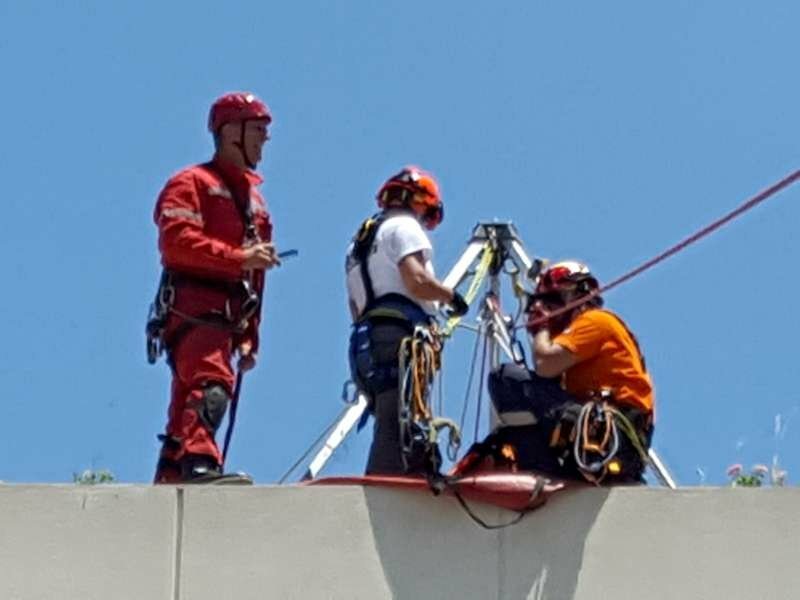 A number of rescue scenarios were prepared in different locations, some requiring rope rescue techniques, while others involved USAR and confined space rescue techniques. 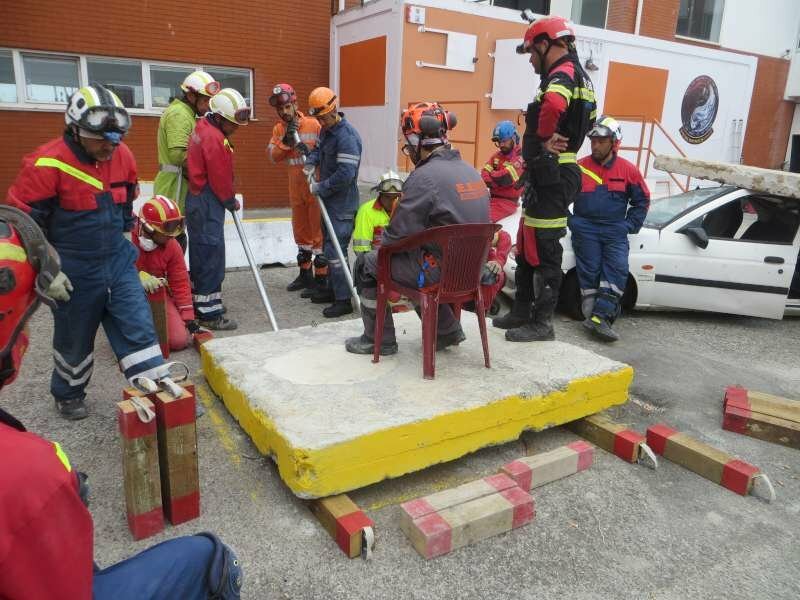 Teams from different countries were combined into larger teams in order to practice working together, and each team rotated between the different scenarios. 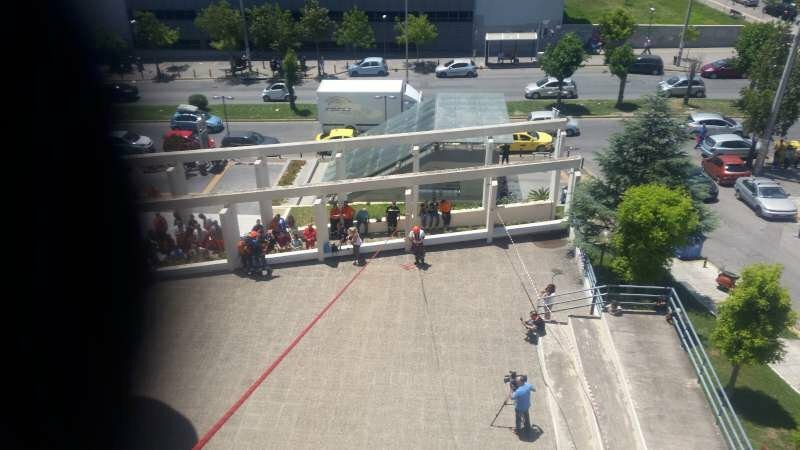 The EFRU team was teamed up with the Hungarian team ÖPVE. With every scenario, teamwork got better and better, and there weren’t any particular problems with language. 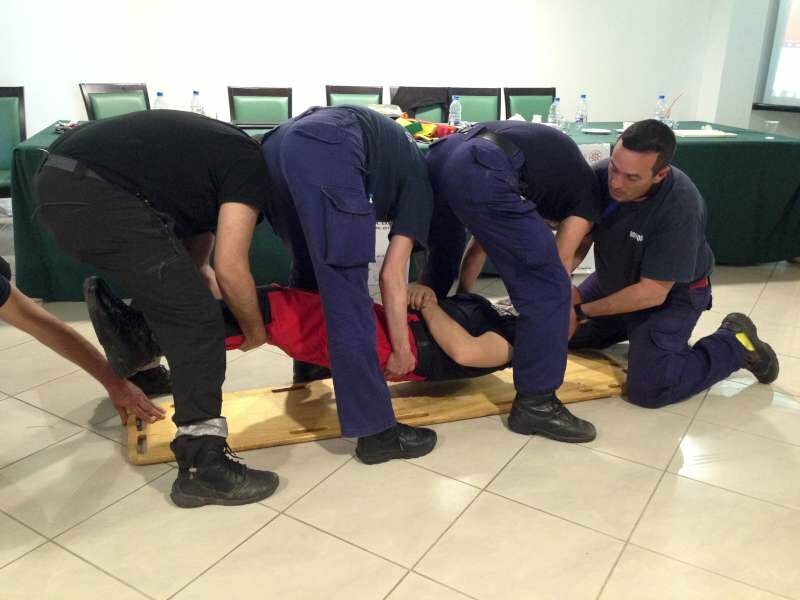 Exercises like these really give the opportunity for rescuers to learn from each other. 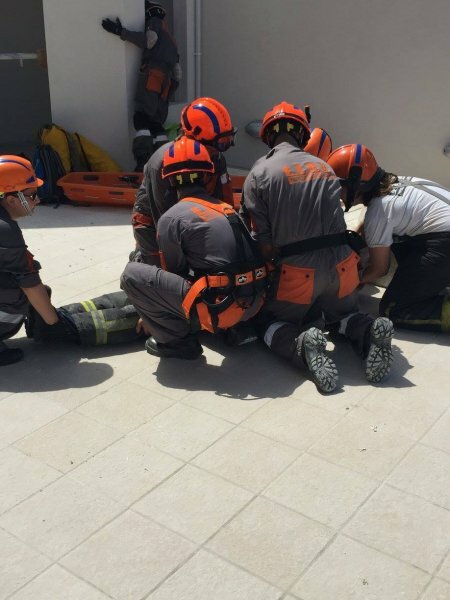 There is always that time-saving technique that can be taught or shared with other rescuers, and will be invaluable the next time a similar scenario is encountered. 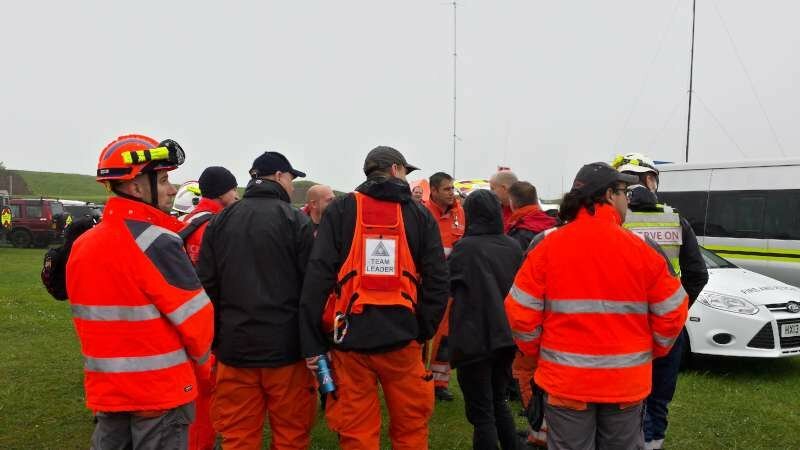 Then there is also the bonding and friendship that is developed between different teams, which is also very important, especially if ever there is a need for the teams to work together under pressure in a real rescue operation. March 9, 2016 in U.S.A.R. Who would have thought? 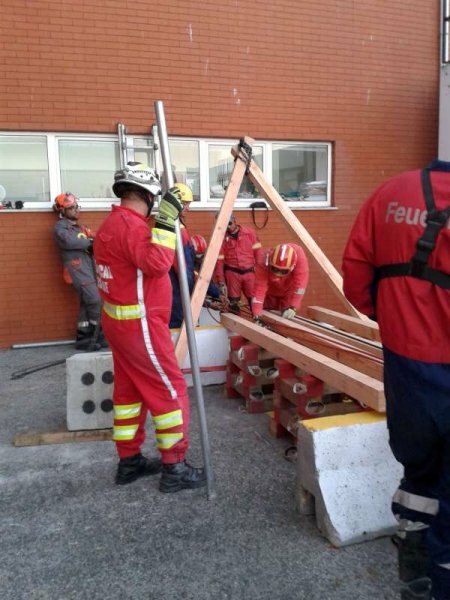 February 2015 – a month of many sleepless nights for some members of the EFRU committee, frantically working to get a project funded under the Erasmus+ programme of the European Union…February 2016, one year later, and the EFRU was hosting rescuers from eight volunteer teams, coming from six European countries during a five-day training activity in Malta. 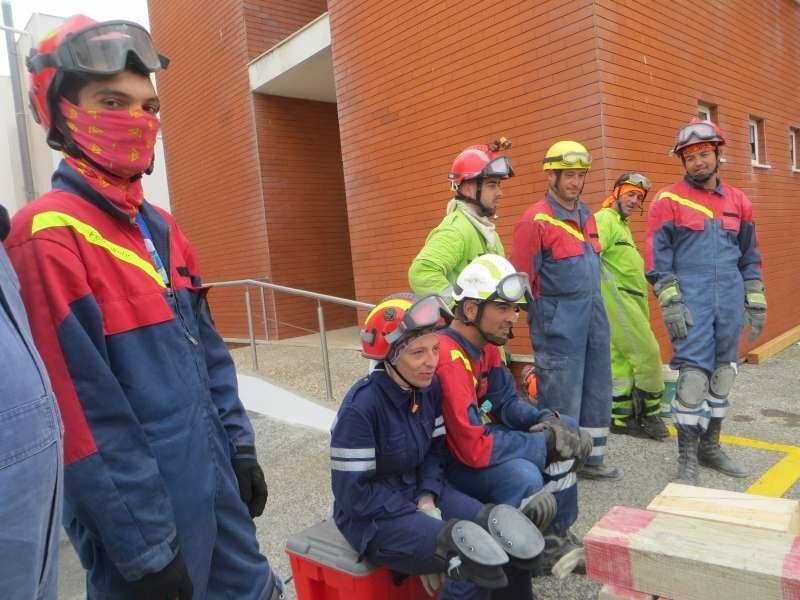 This training activity, held between the 5th and the 9th February, was part of that very same project, which is expected to run until May 2017. 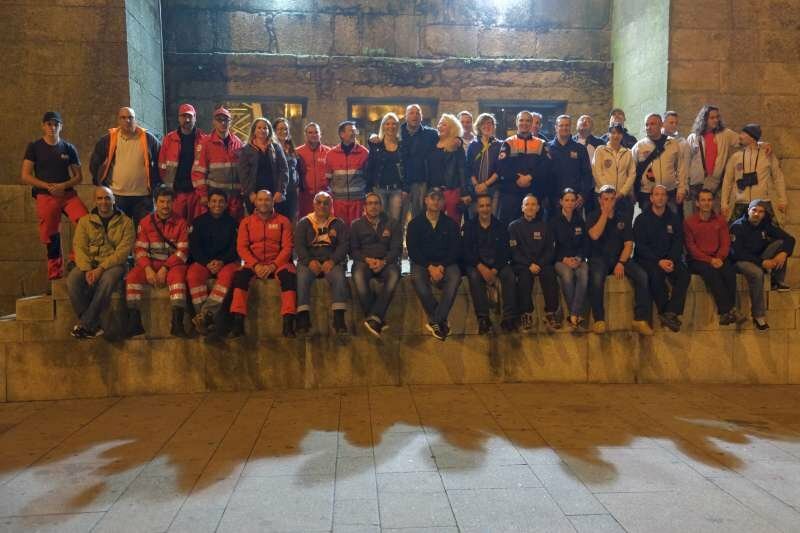 Synergising European Volunteer Rescue Teams – This title may have been conceived one day at three in the morning (the author may have been suffering from lack of sleep at the time), however it spells out perfectly the mission set for this project. 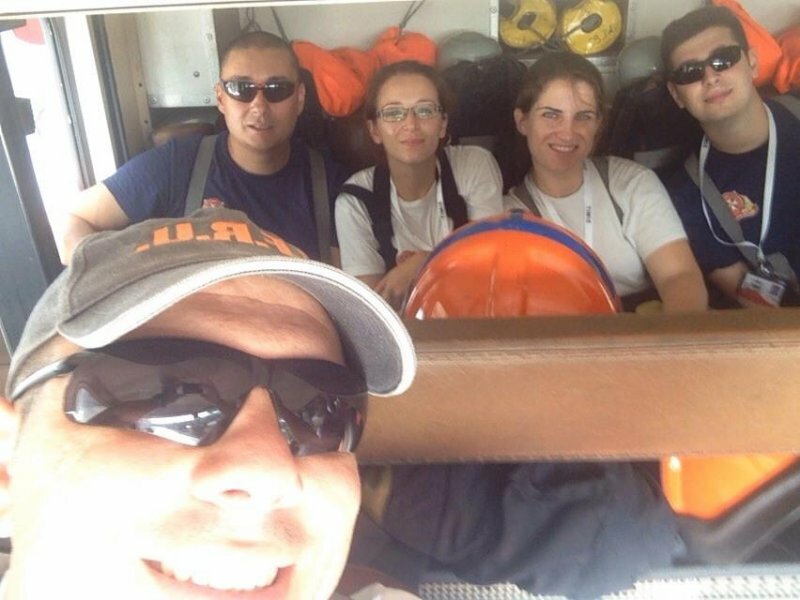 We all know the importance of working together, the strength of a team… whenever a big disaster or accident happens, people come together to help each other and team work is ever so important. However we all tend to take this for granted, as if team work will automatically happen. 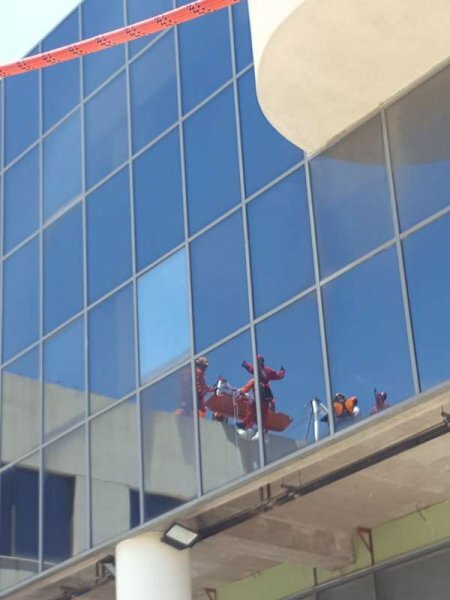 Well not unless all the team members pull the rope in the same direction, and at the same time. 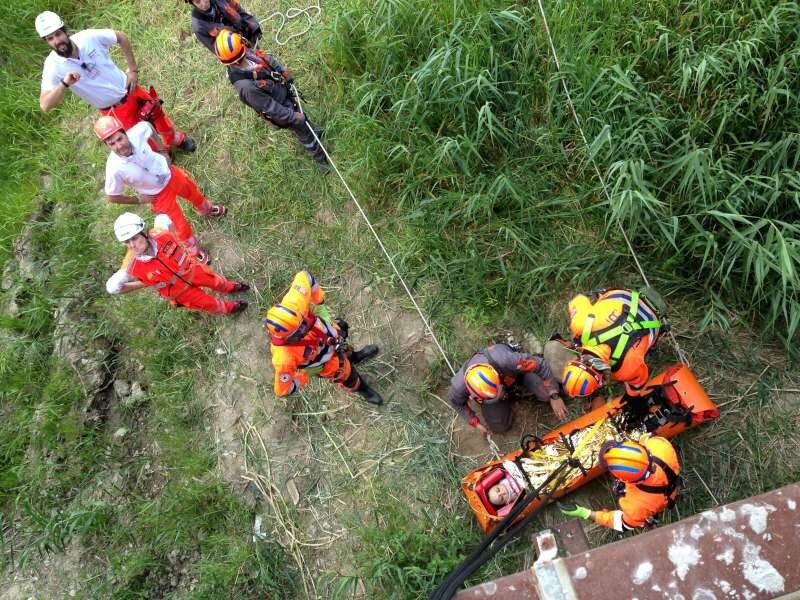 This is why the project’s aim is to create synergy between rescue teams. 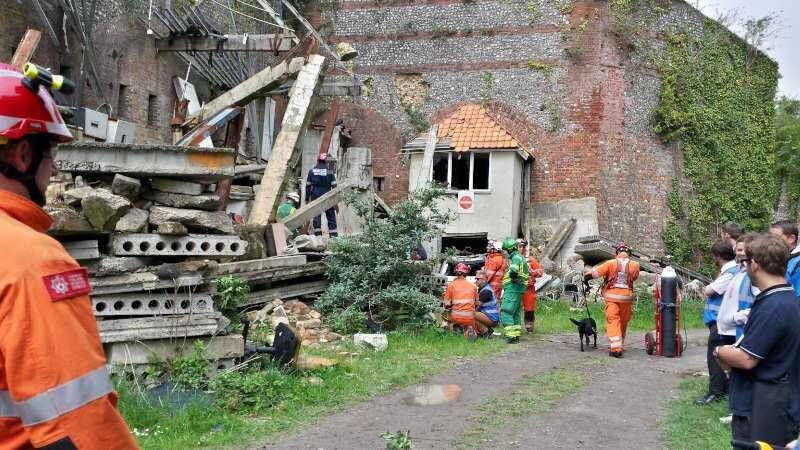 They need to harmonise the way they work, agree on a common training programme and practice working together, so that in the case of a real emergency these rescuers can work quickly and efficiently without wasting time sorting out their working methods on the spot. 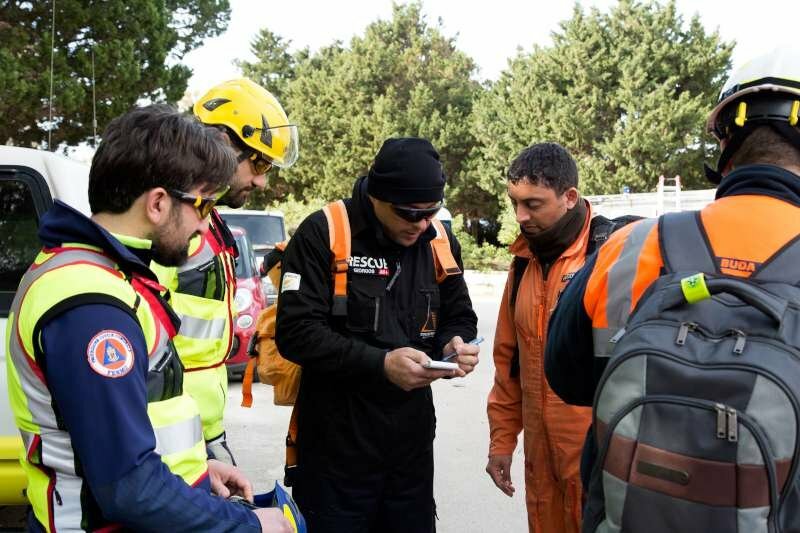 The training activity held in Malta brought together Rescue Teams that already form part of EVOLSAR – the of European Association of Civil Protection Volunteer Teams, as well as three other teams that are interested in joining in the near future. 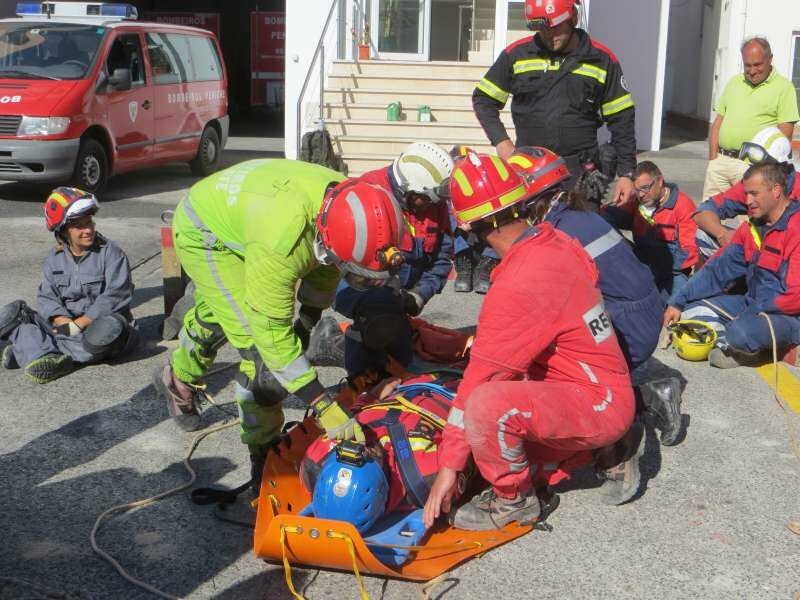 These teams are Edelweiss (Italy), Serve On (UK), EPS (Portugal), CCPVC (Cyprus), EP.OM.E.A (Greece), ÖPVE (Hungary), Bombeiros Voluntários de Peniche (Portugal) and Protezione Civile Comunale Fermo (Italy). 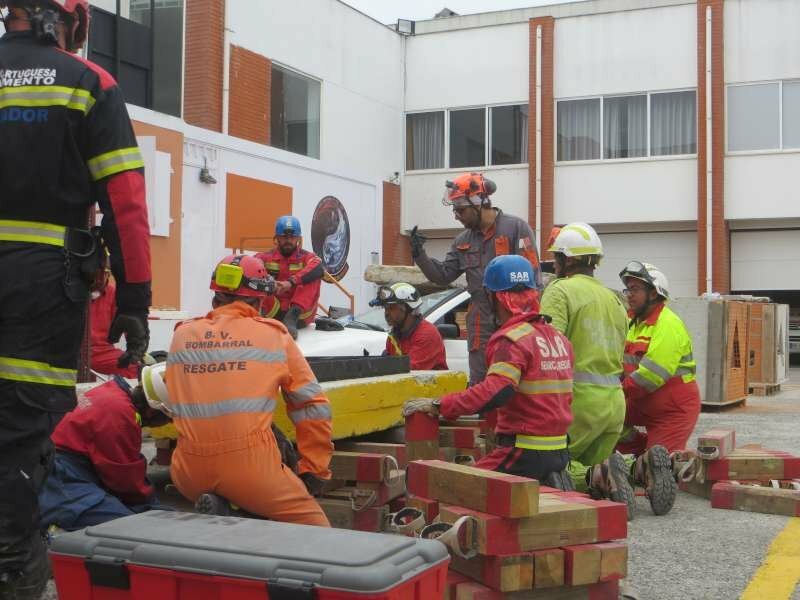 Over four days, the teams participated in a number of rescue simulations designed to challenge the teams in a number of rescue disciplines. 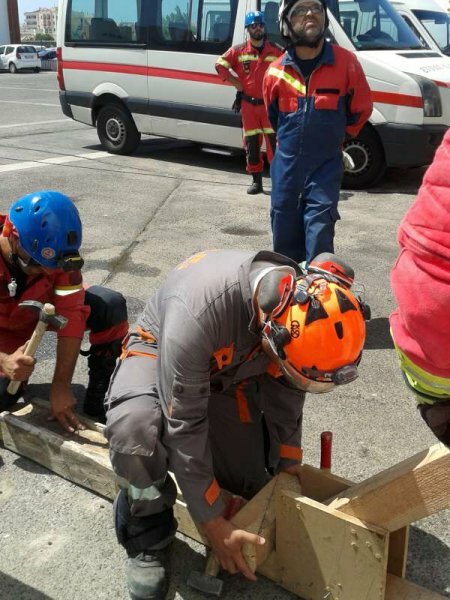 In order to make things more “interesting”, the teams were composed of rescuers of different nationalities, throwing in the language factor. At the end of the day, one will not normally be able to choose who to work with during a real emergency. It was interesting to see the progress from one day to another, as well as the creativity in communicating together with minimal conversation. Each exercise also gave the opportunity for discussion during the debriefing sessions. 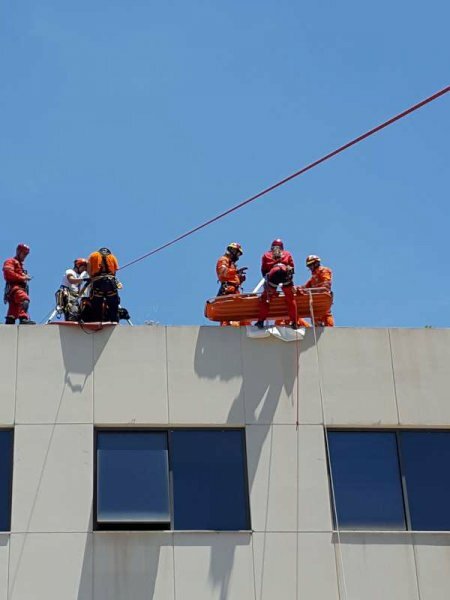 While the rescue simulations may seem to many as a fun activity, they in fact involve a good amount of specialised techniques and proper knowledge of use of equipment. There is always an inherent danger that could lead to very serious consequences if taken lightly. 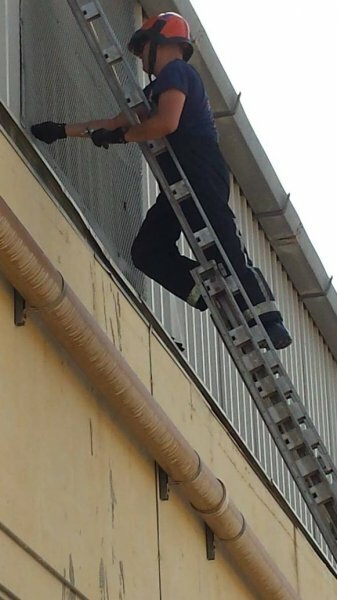 Another important element of this training activity was proper risk assessment and management throughout. 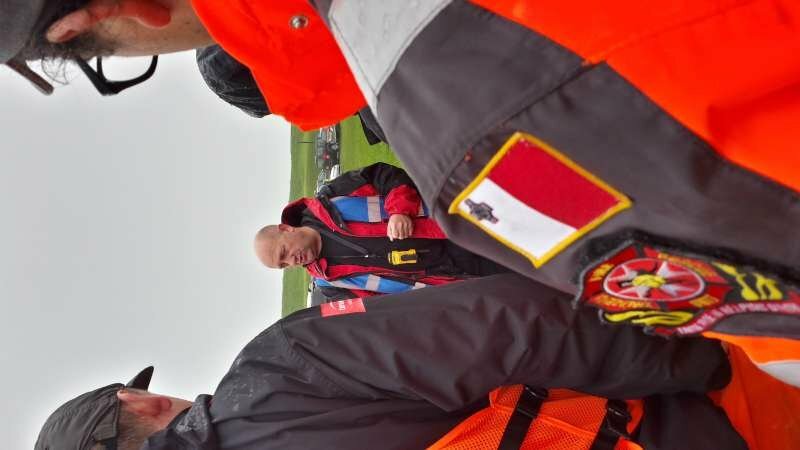 Mr. Dave Dunford, a volunteer from one of the teams involved, presented an excellent talk about this topic, and went on to tie it with good a mention of good leadership skills, something that is crucial for a rescue team. February 21, 2016 in General, U.S.A.R. 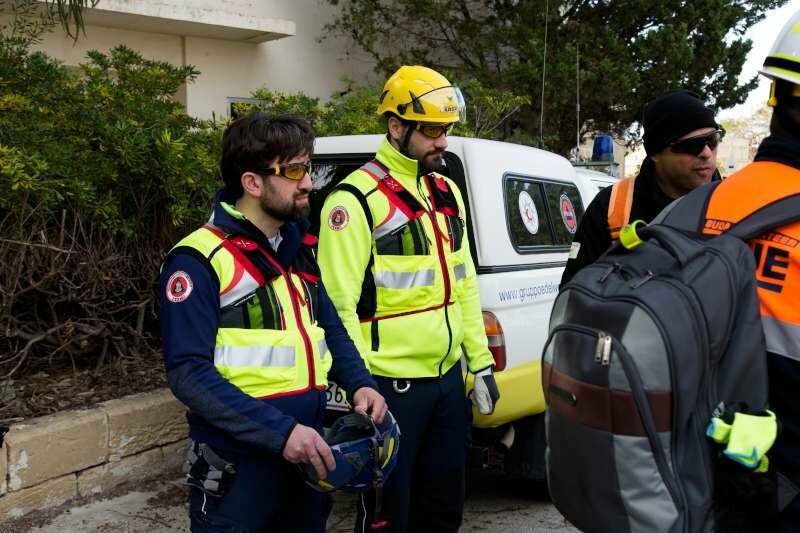 February 2016 was very much anticipated by the members of the European Association of Civil Protection Volunteer Teams,or as it is better known, EVOLSAR, because it marked the onset of a multinational EU project under the umbrella of ERASMUS+. 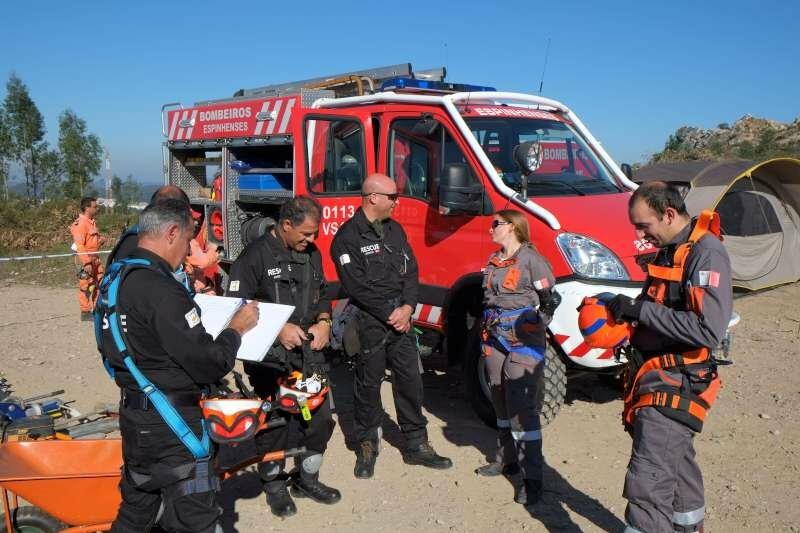 It is an exciting time for all, but it is especially so for the local team – the Emergency Fire and Rescue Unit (EFRU) – which has not only been entrusted with the presidency of EVOLSAR for over a year, but is also leading this two-year project. 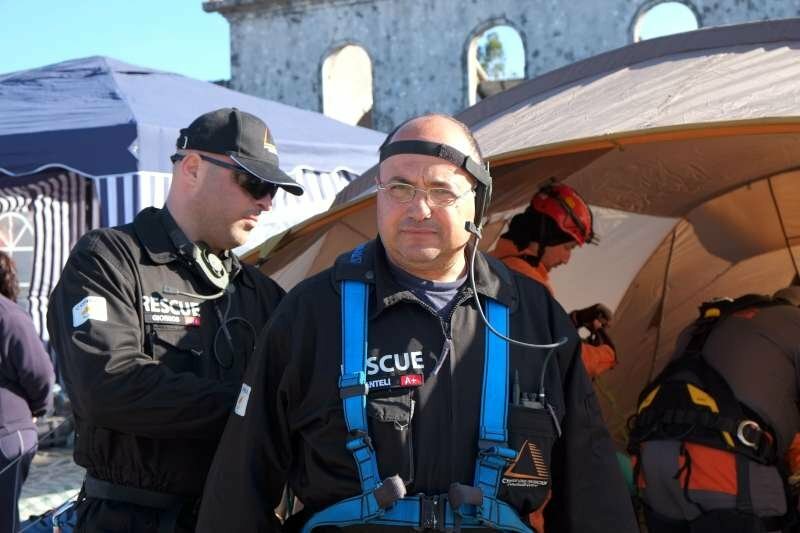 As the name implies, ‘Synergising European Volunteer Rescue Teams’ is anincentive which foresees volunteering rescue teams from across Europe working together to fine-tune rescue techniques and practices. 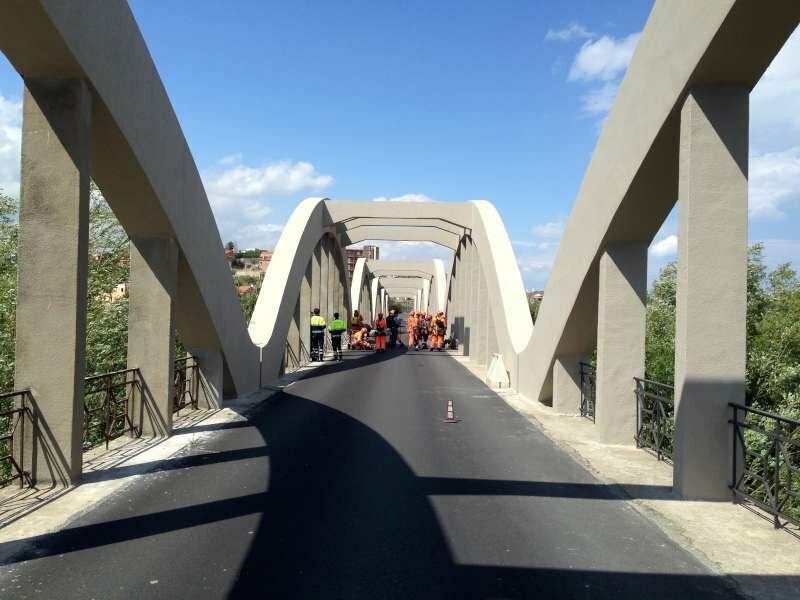 Although this project is the first of its kind, it is the fruit of a legacy that started several years ago and which was significantly strengthened over the past twelve months. 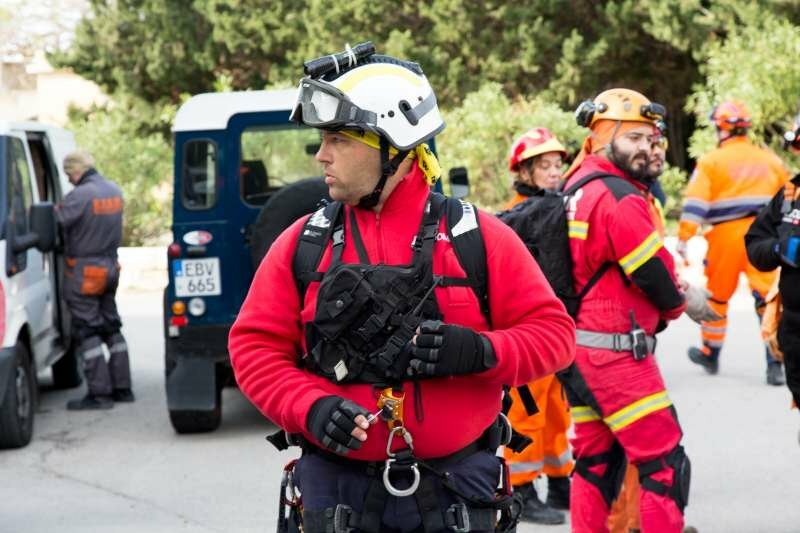 This project’s first training activity put Malta in the spotlight once again with four full days of rescue operations in simulated scenarios, round-table discussions and extra-curricular activities which are fundamental for enhancing the synergy that is so elemental to the project objectives. 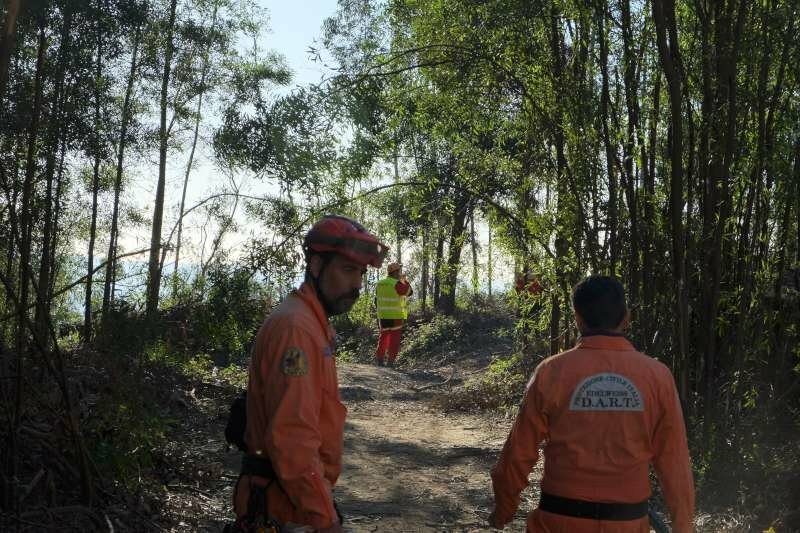 The rescue operations varied not only in type and methods but also in terms of locations, terrain and the contextual frameworks in which they were carried out. 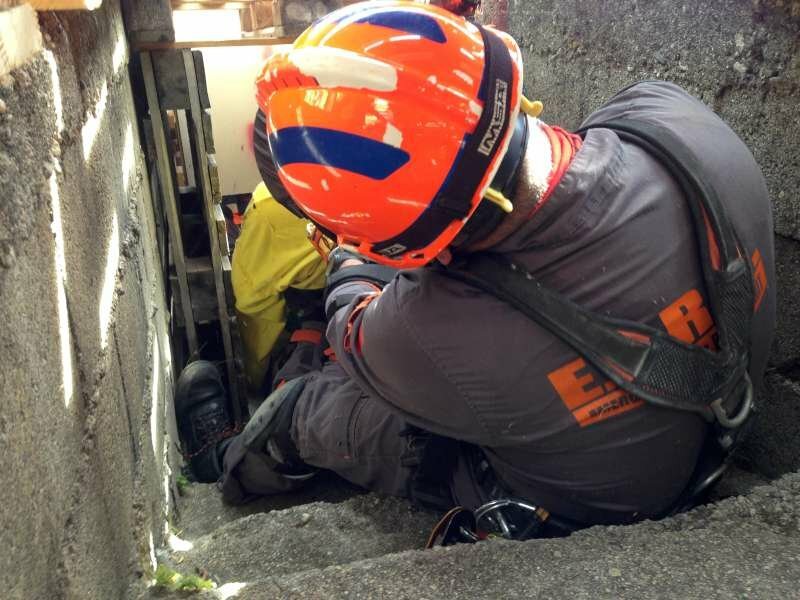 The methods and techniques ranged from high-angle rescue to confined space and urban search and rescue, all within varying surroundings: from cliff faces to undulating clay dunes and from the bouldering shores to underground tunnels and the built-up environment. 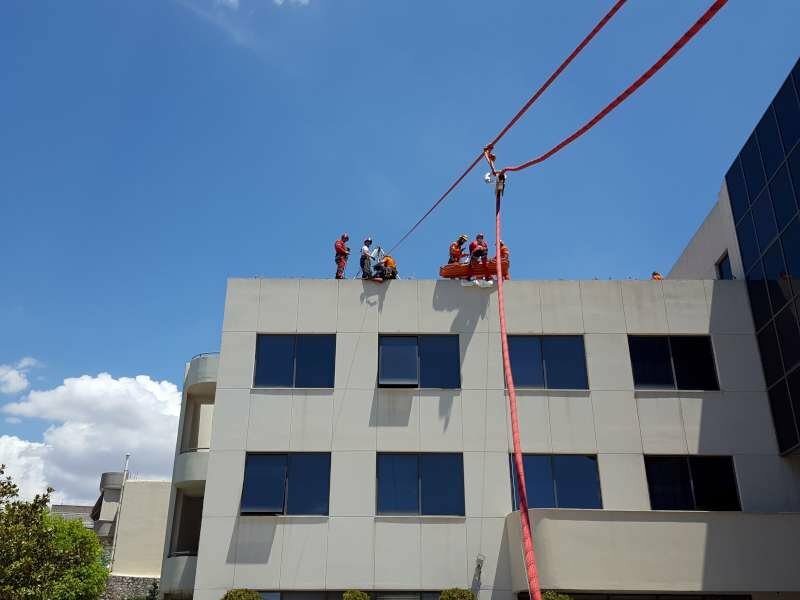 Throughout this training activity, rescuers from within different volunteering teams and of different nationalities worked together in multinational groups, each time with the same objective: that of conducting good rescue practices and extract casualties in the most effective manner. 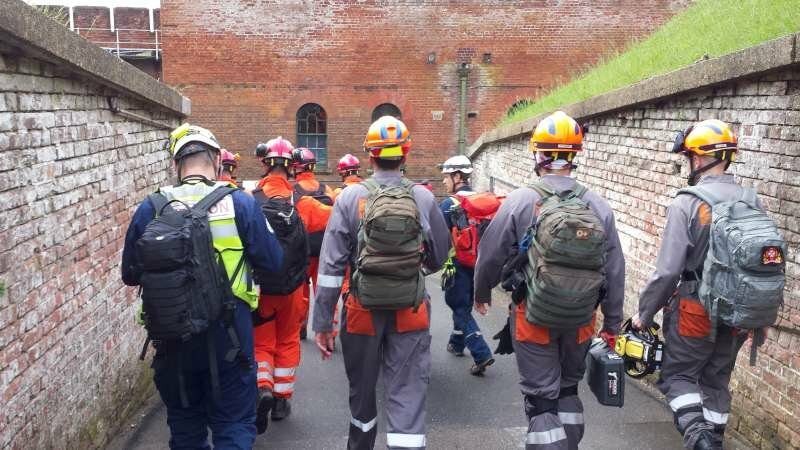 One cannot but commend the professional level to which the simulations were organised, obviously through countless hours of preparation, efficient liaison with local authorities and the commitment of volunteers outside the organisation who provided for realistic casualties. 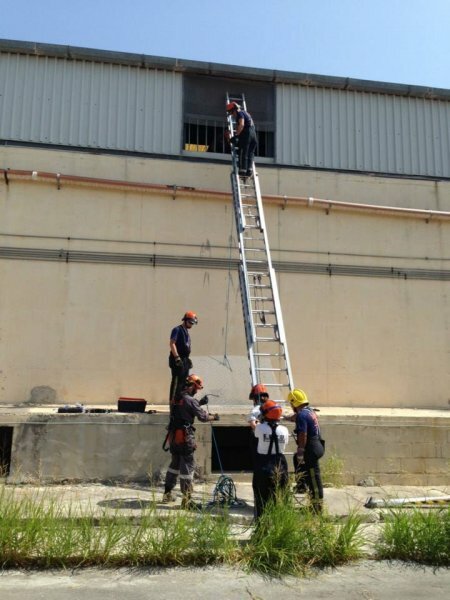 What ultimately stands out,however, is how seriously the training was taken by every individual involved. 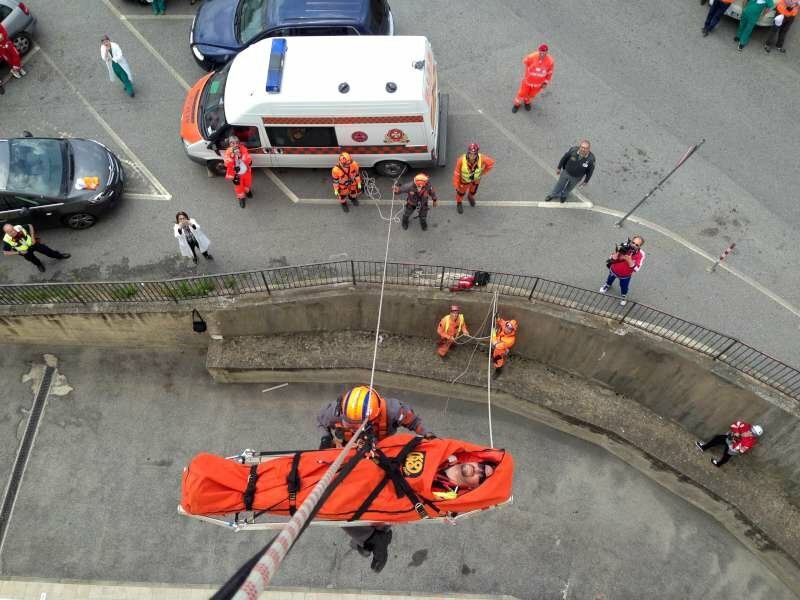 Simulated rescues are hardly a simulation to the rescuers themselves. 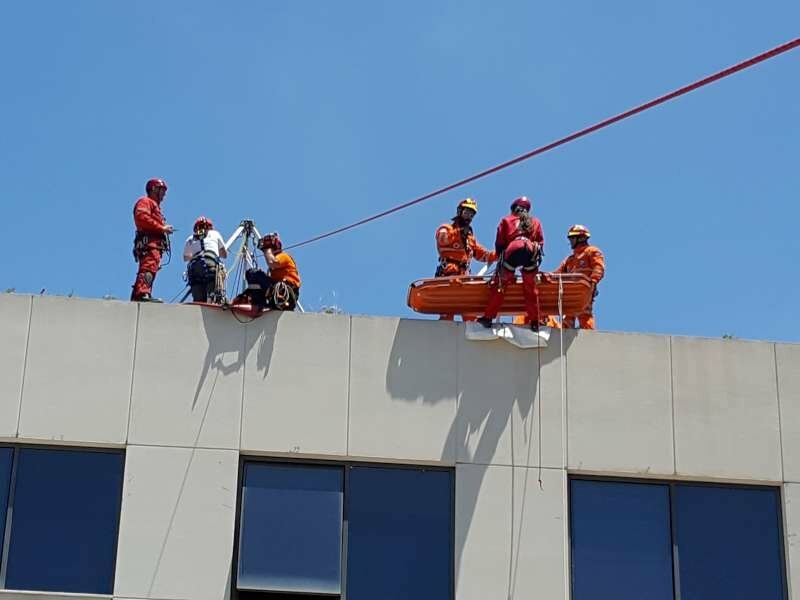 Training is treated with utmost respect and each scenario is professionally handled, so that when reality hits these rescuers can do what they do best: work together to save lives. 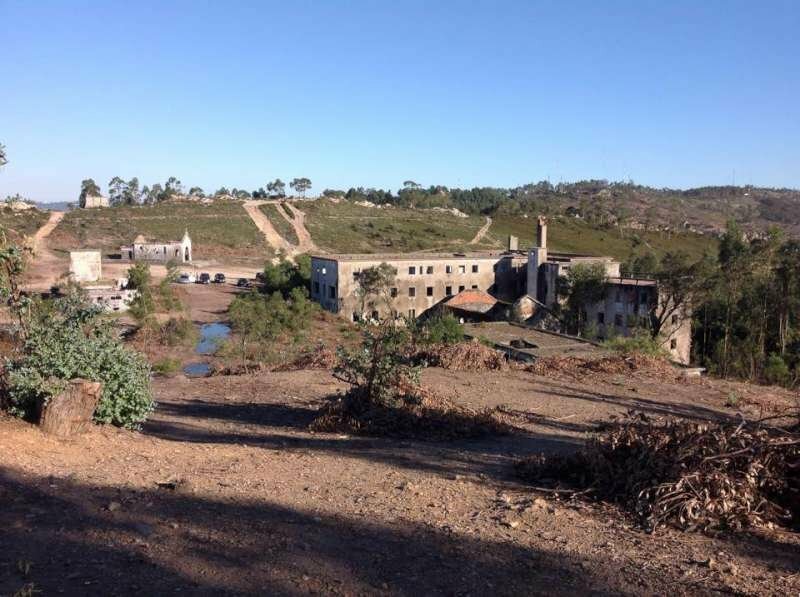 Needless to say, this project would not have been in the least conceivable without the support of external entities that have chosen to be part of this phenomenon. 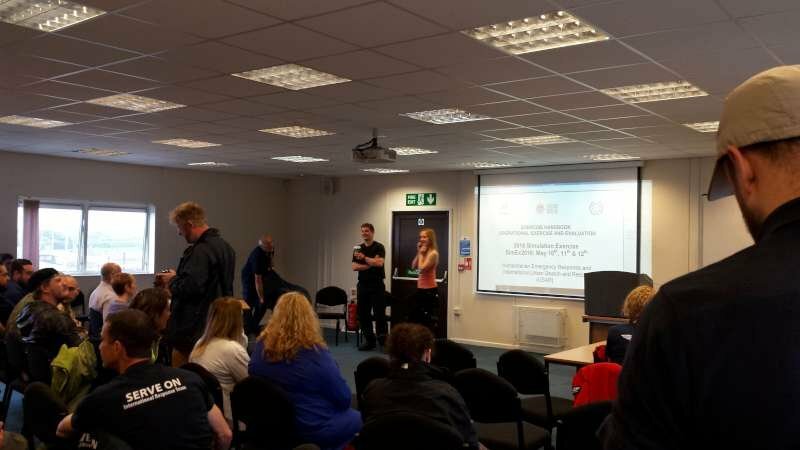 Particularly in relation to the Erasmus+ funding, MEUSAC and EUPA have provided invaluable assistance in the application process and the project implementation and management process respectively. Last but not least, to each of the teams: a heartfelt thanks and a boost of encouragement. A few years ago, EVOLSAR was only EFRU’s far-fetched dream. Today it is very much alive and kicking, living up to the good name that it has made since inception and standing as a testimony to the fact that where there is good will, there is indeed a way. December 6, 2015 in U.S.A.R. 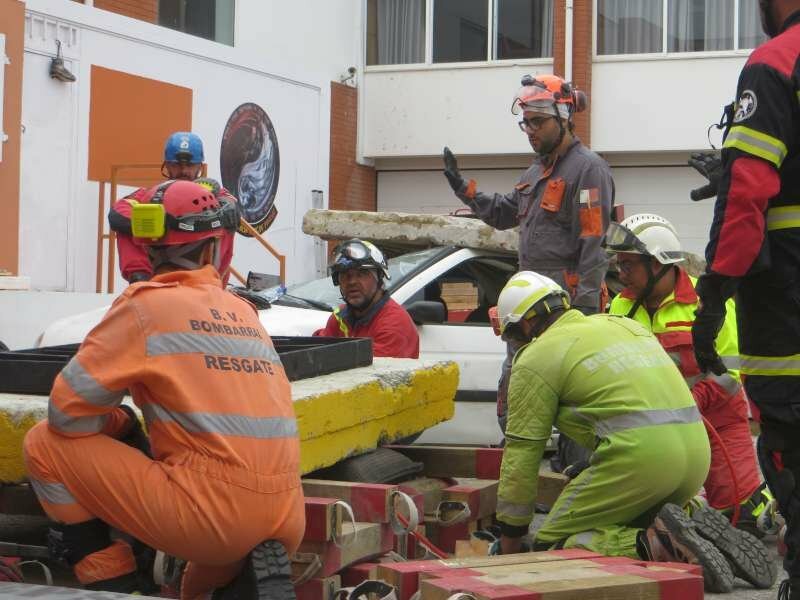 Earthquakes are synonymous with destruction and the creation of difficult situations for victims and relatives; rescue teams need to be prepared and willing to provide the necessary expertise to effect rescue. 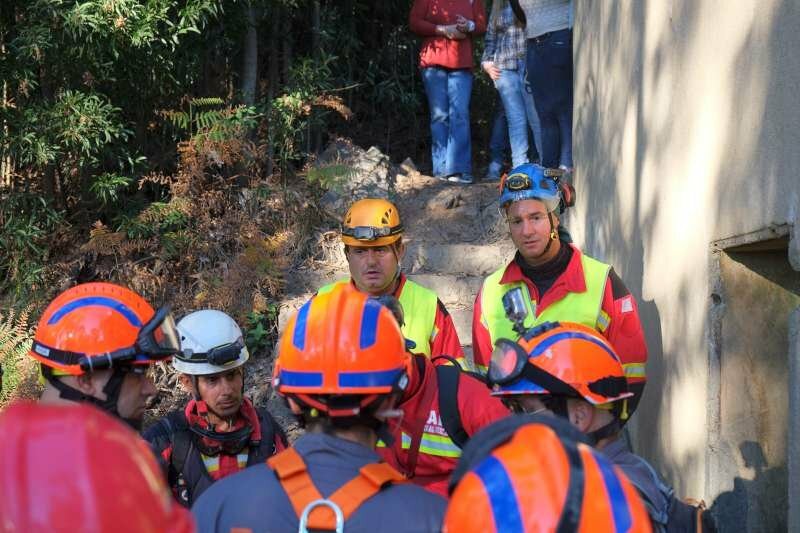 In view of this, the rescue simulation held in Portugal, SAR DAY 2015, to which the EFRU assigned 7 members, provided the organisation with invaluable experience for Earthquake rescue preparedness. 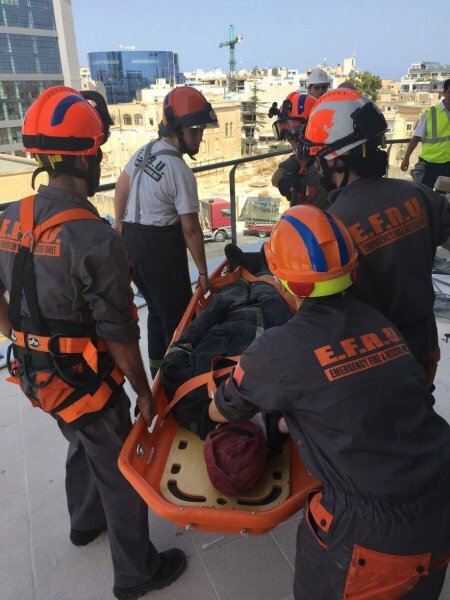 The EFRU rescue team took part in a 24-hour simulation of an earthquake, where it had to perform various rescue exercises to extricate victims from demolished buildings and debris. 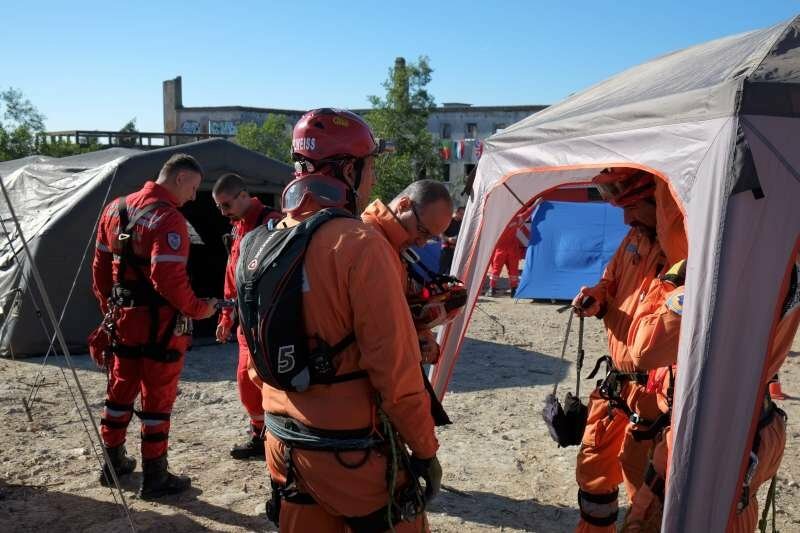 The simulation, organised by the volunteer rescue team – Escola Portuguesa de Salvamento (EPS) of Portugal – saw a number of rescue teams from the UK, Spain, Portugal, Italy, Malta, Serbia, Greece, Cyprus, Hungary and the USA coming together. 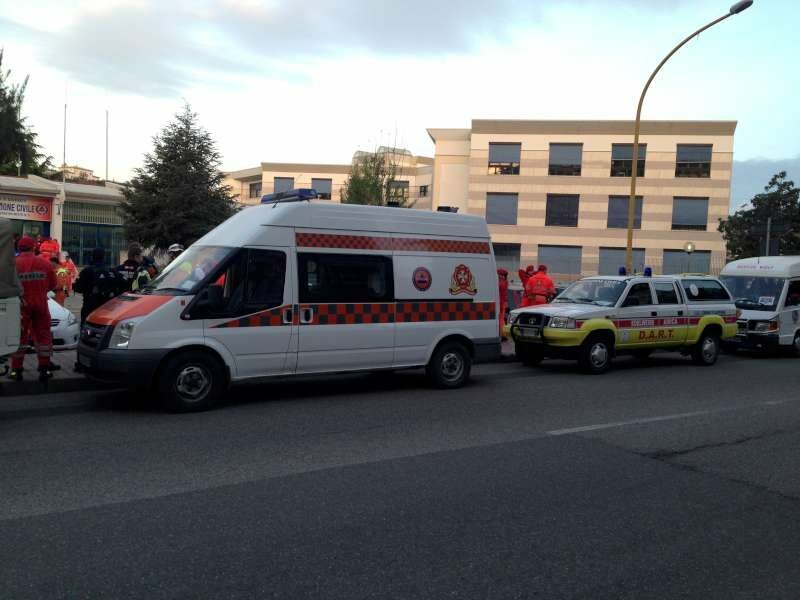 The intense simulation was segmented into three shifts of work and three shifts of rest, as one would expect in a real life situation. 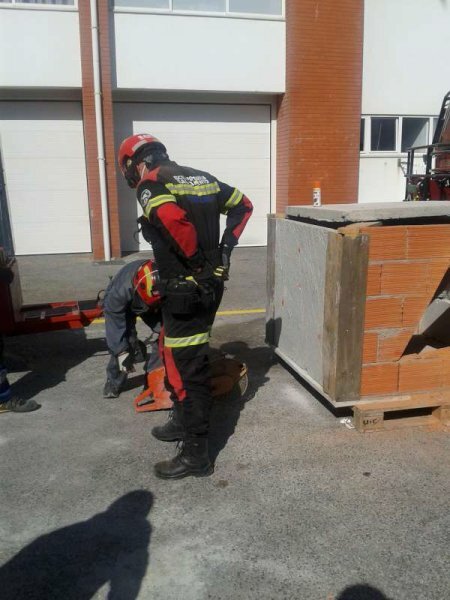 The exercises ranged from extrication of a victim from a small building through various walls to the extrication of a victim from the first floor of a hospital building. 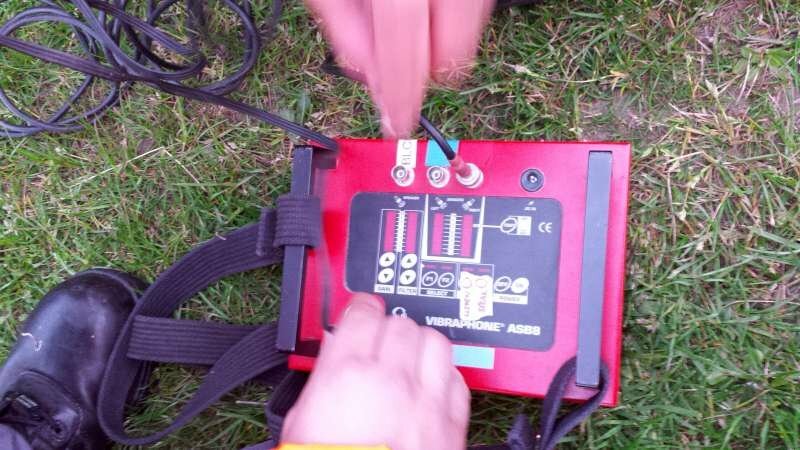 The latter was the most challenging of them all as the team had to overcome a number of hurdles to reach the victim. 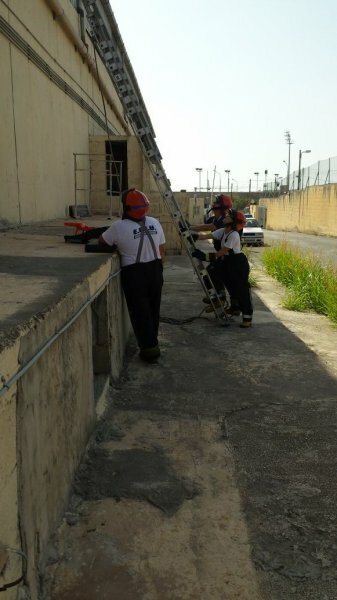 The only access to the victim was through the basement and the victim could only be reached through a confined shaft thanks to a combination of ladders and wood support while another route had to be sorted out for the actual victim rescue. 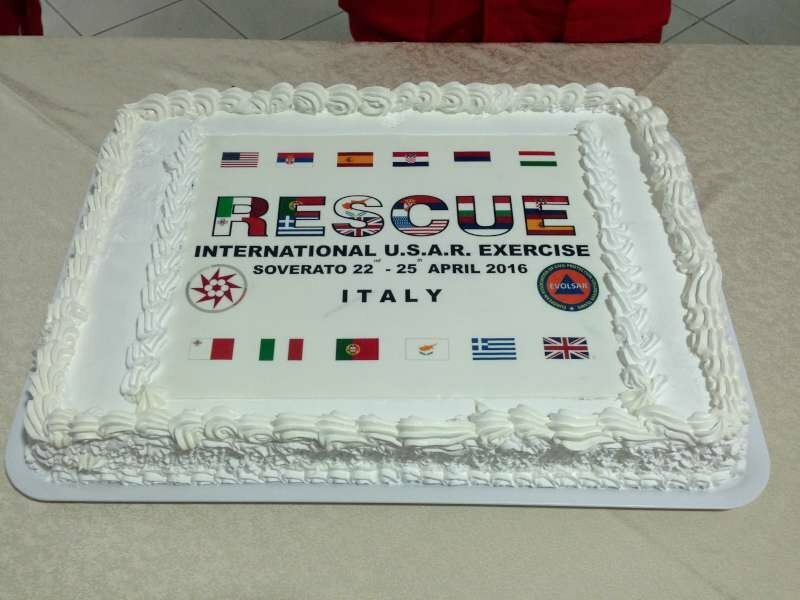 This simulation was the second edition of EVOLSAR’s annual exercise, with the first one being held in Italy on the 10th of May 2014, the foundation day of EVOLSAR. 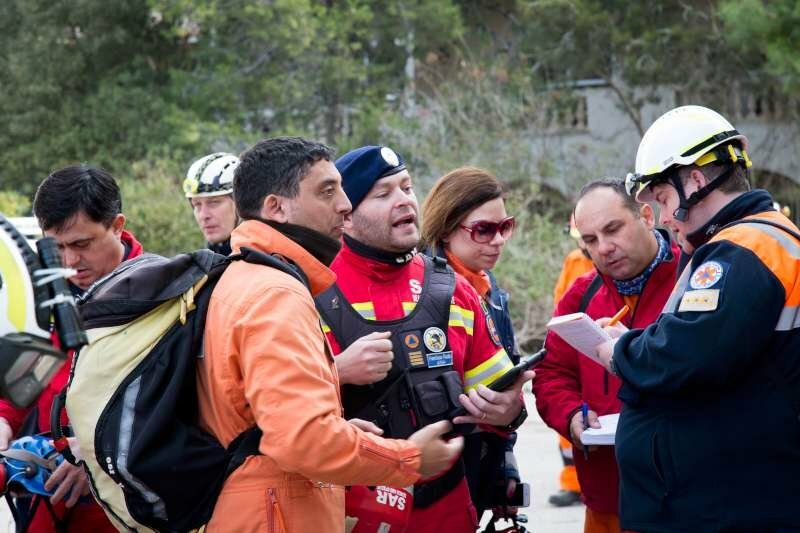 EVOLSAR – the European Association of Civil Protection Volunteer Teams – was founded by five (5) rescue teams: the Emergency Fire & Rescue Unit (Malta), Edelweiss (Italy), Escola Portuguesa de Salvamento (Portugal), Cyprus Civil Protection Volunteer Corps, and Elite Special Task Force (Greece). 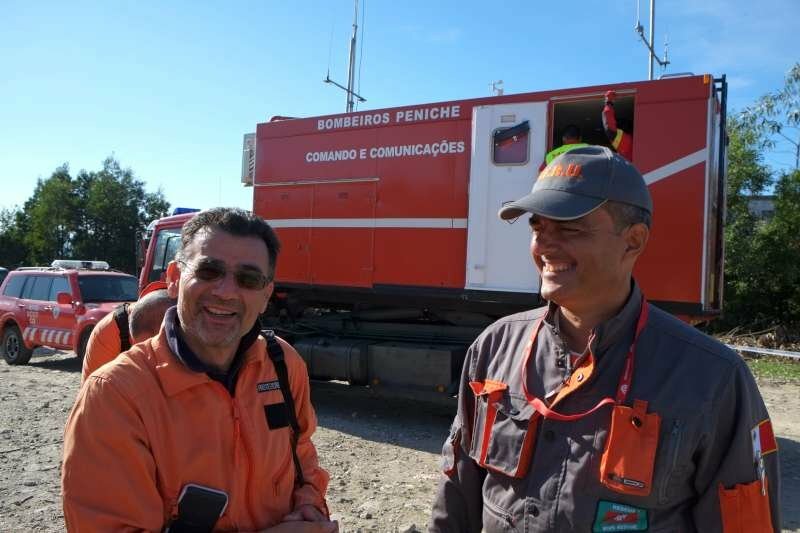 This meeting in Portugal has seen the accession of Serve On (UK), another volunteer rescue team accessing into EVOLSAR. 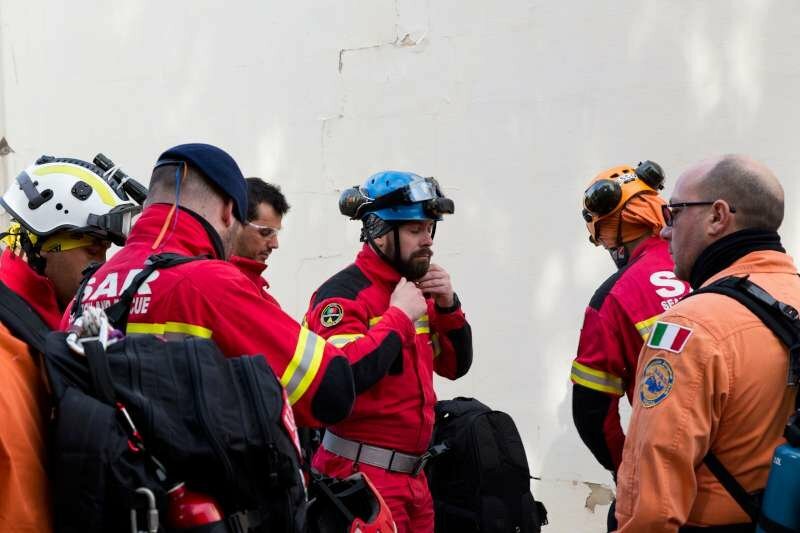 The Association now boasts of six (6) hard working volunteer organisations that have together managed to source funding from the ERASMUS+ Programme to compile a Volunteer’s Rescue Manual by bringing together each team’s expertise and knowledge. 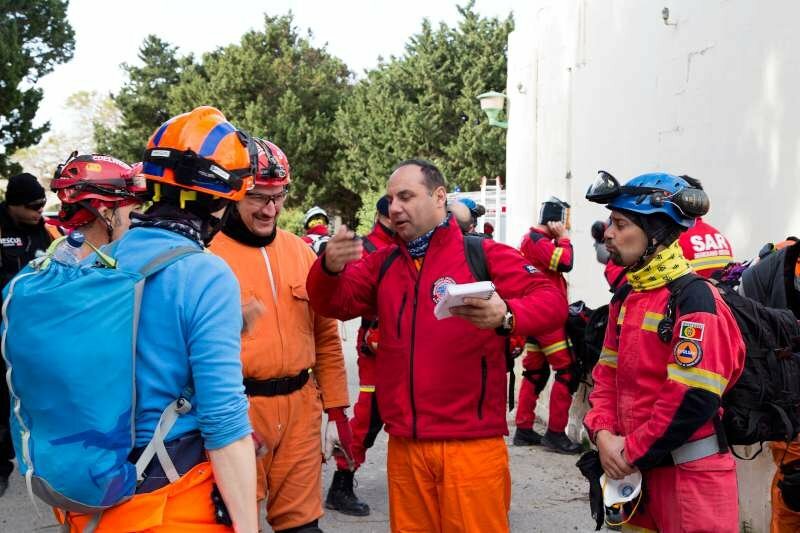 The EVOLSAR teams and other networked volunteer organisations shall meet again in February as part of the aforementioned EU funded programme for an organised 5-day training activity, where EFRU will be hosting approximately 40 rescuers from various countries. 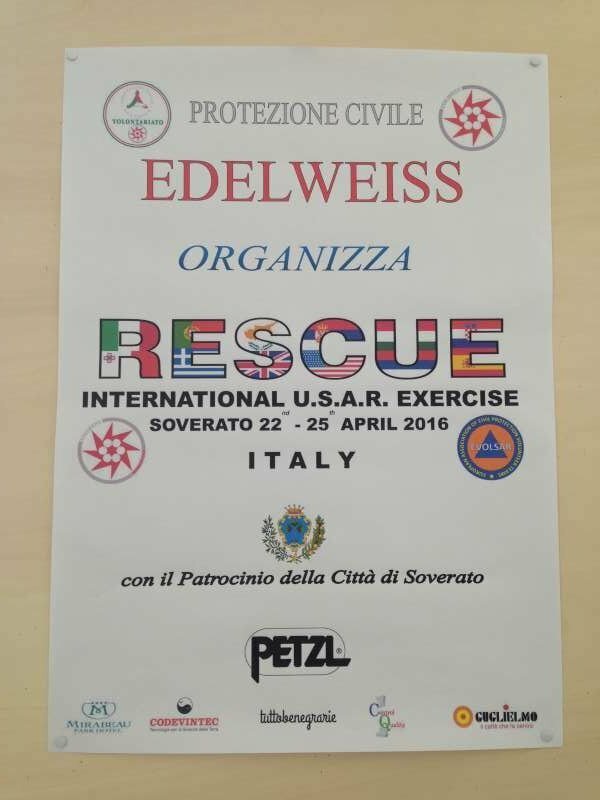 The next official exercise (2016 – 3rd edition) for EVOLSAR will be organised in Italy in April 2016 by Edelweiss. September 23, 2015 in U.S.A.R. 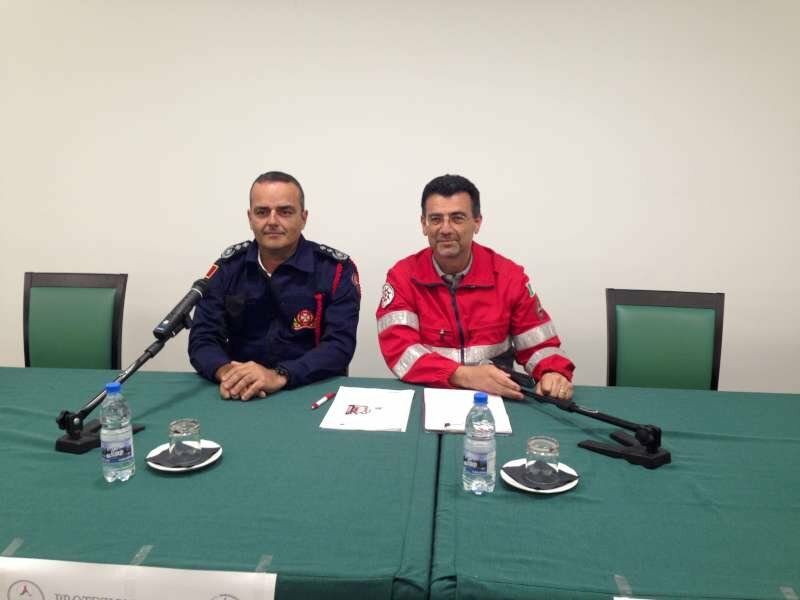 The month of September 2015 marked an important milestone in the calendar of the Emergency Fire & Rescue Unit (EFRU) thanks to its involvement in a SIMIT (Integrated System for Transboundary Italo-Maltese Civil Protection) Project Earthquake Rescue simulation organised by the Civil Protection Department of Malta (CPD), one of the five (5) partners in this project. 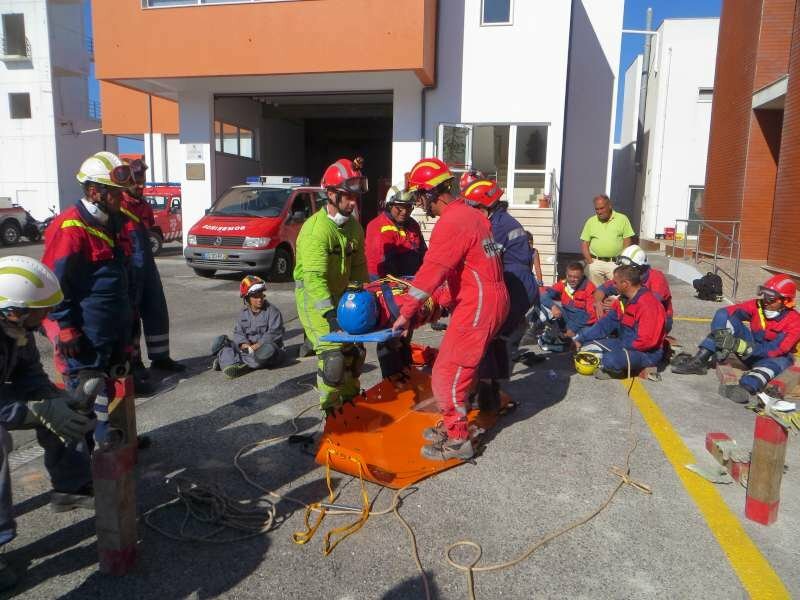 Participants in this Simulation were local NGOs involved in the field of rescue and other Sicilian Rescue teams that were invited over purposely for the occasion. 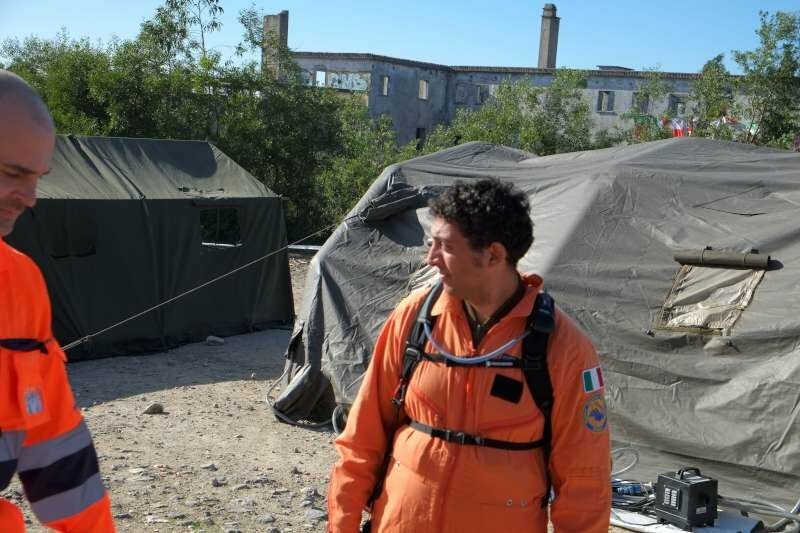 This Simulation was held over the course of three days, from Thursday 3rd September to Saturday 5th, most of which time was occupied with different rescue scenarios for all the volunteers to work together while testing the preparedness of each team and gaining experiences that only such simulated deployments can offer. 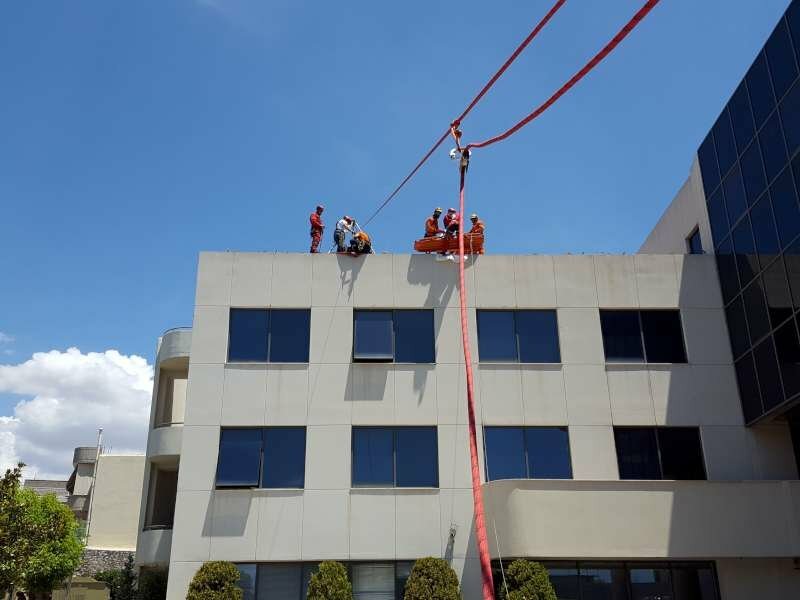 The scenarios prepared by the CPD differed in nature and included search and rescue missions, confined space rescues, fire fighting scenarios and other rescue scenarios involving the use of high angle rescue equipment among others. 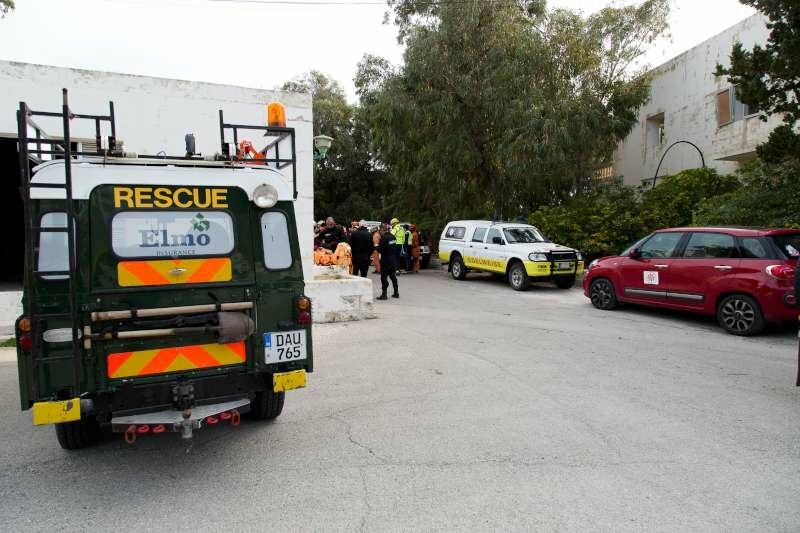 This whole experience came to an end with a lovely dinner cooked to perfection by members of the Scouts Association of Malta, which also forked in its share during the simulation by preparing a base camp in ‘Ghajn Tuffieha’ for the refugees as well as catering for all the rescuers and participants. 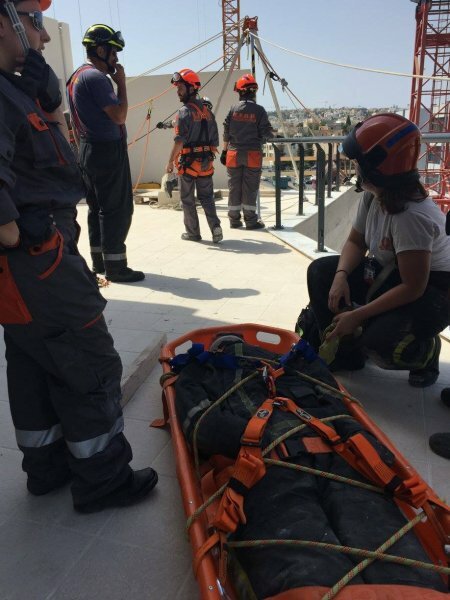 The EFRU participated with a team of 25 volunteers and was deployed by the CPD in all of the rescue scenarios prepared for this SIMIT Simulation that were situated in Malta. 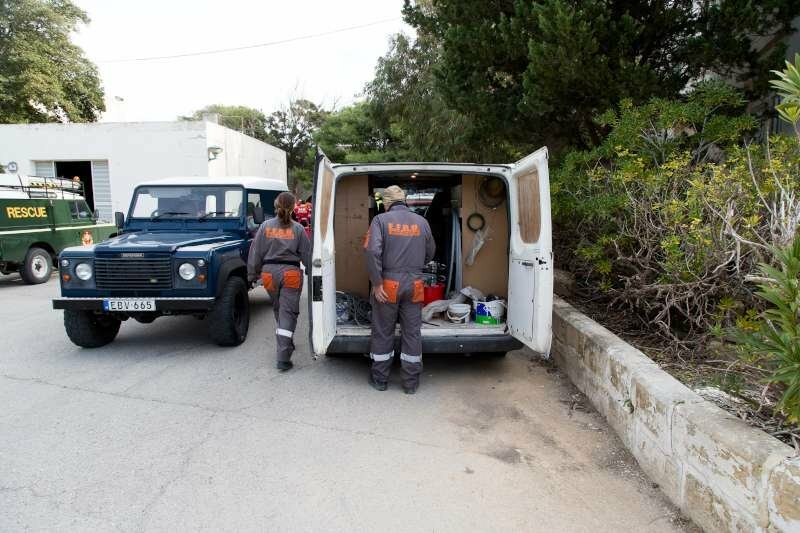 The vehicles used were the Unit’s Mess Van, its Dodge Fire Truck and three (3) Back up vehicles that are privately owned by the volunteers. 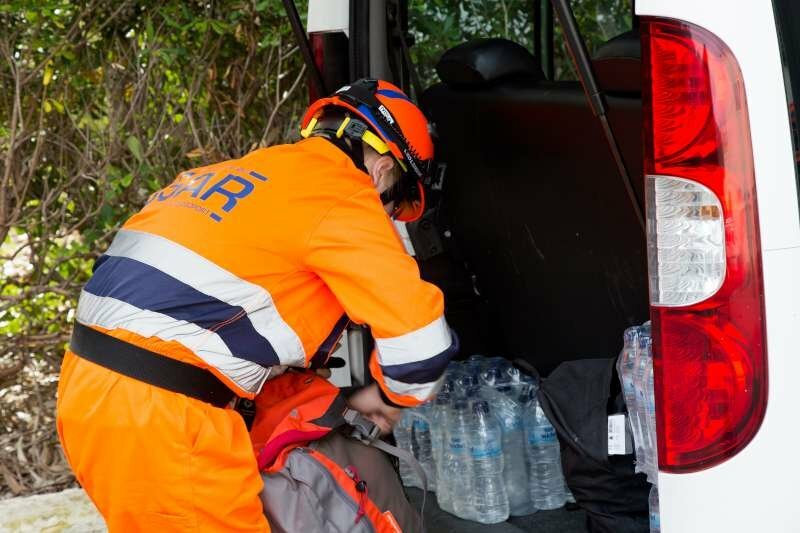 The management team of the EFRU would like to take this opportunity to thank the Civil Protection Department for organizing the various rescue scenarios for different volunteer teams to work together, thus simulating a true emergency in the event of a national disaster. 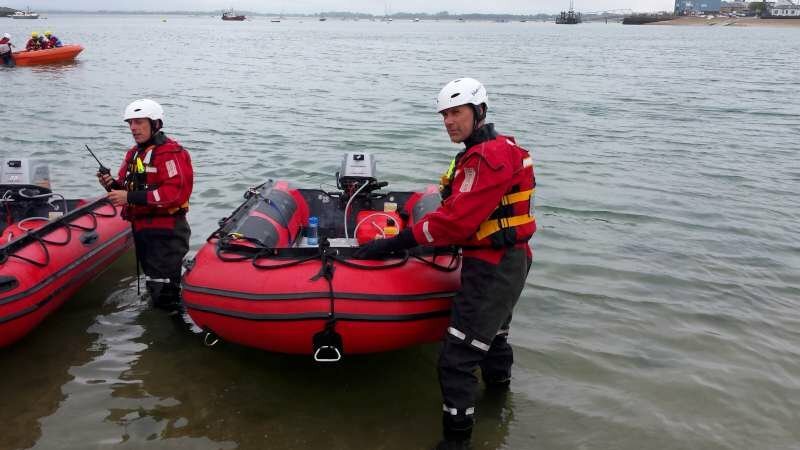 Are you interested in voluntary rescue work? Would you like to dedicate some time on a weekly basis to train yourself and participate in similar future opportunities that the EFRU offers to its volunteers, be it on a local or international platform? Send us an email on [email protected] and we will guide you accordingly.